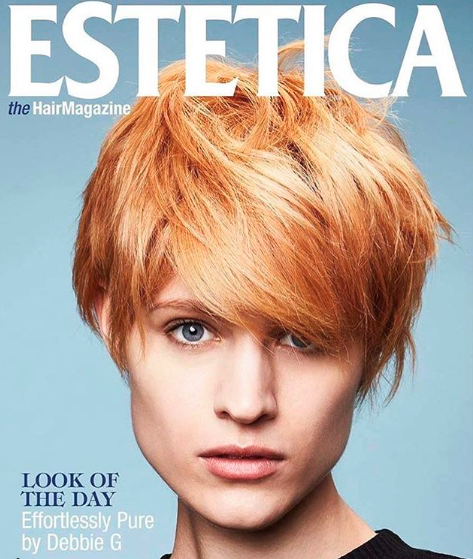 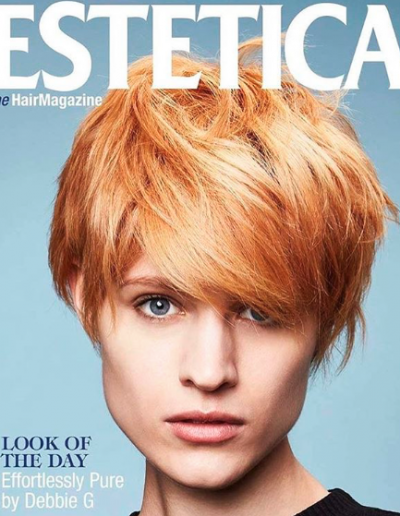 In February Debbie and Mimi were thrilled to get the front cover of Estetica magazine with an image from The Effortlessly Pure collection. 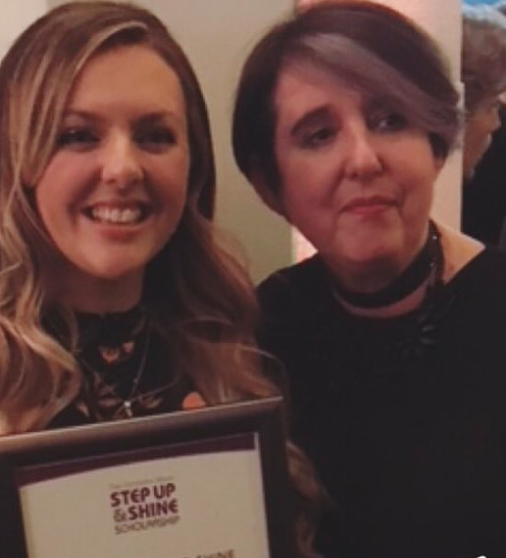 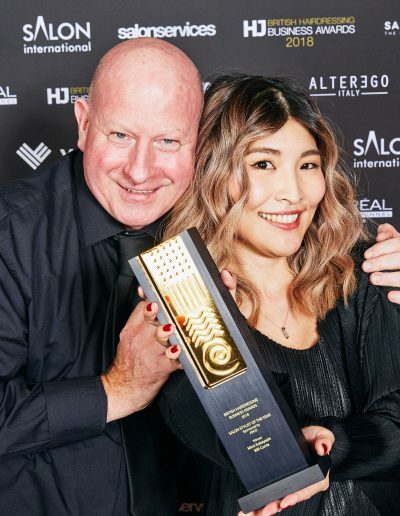 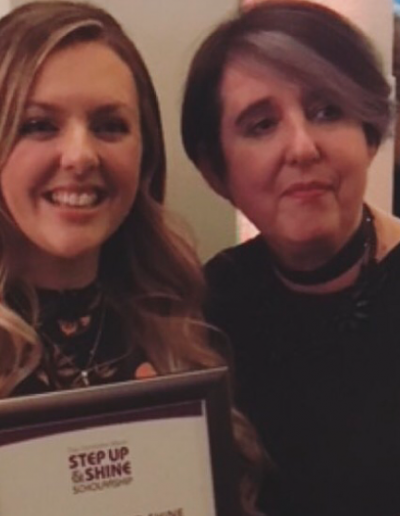 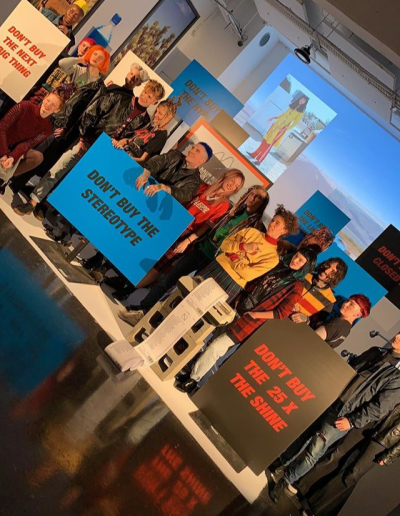 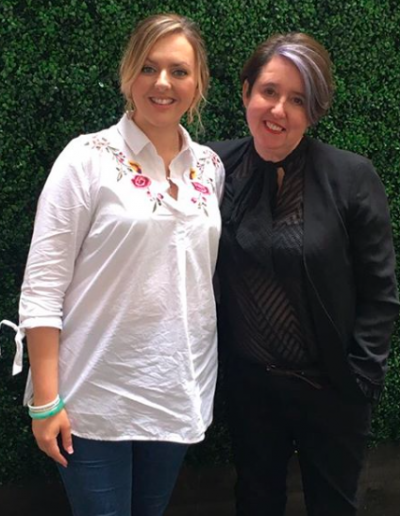 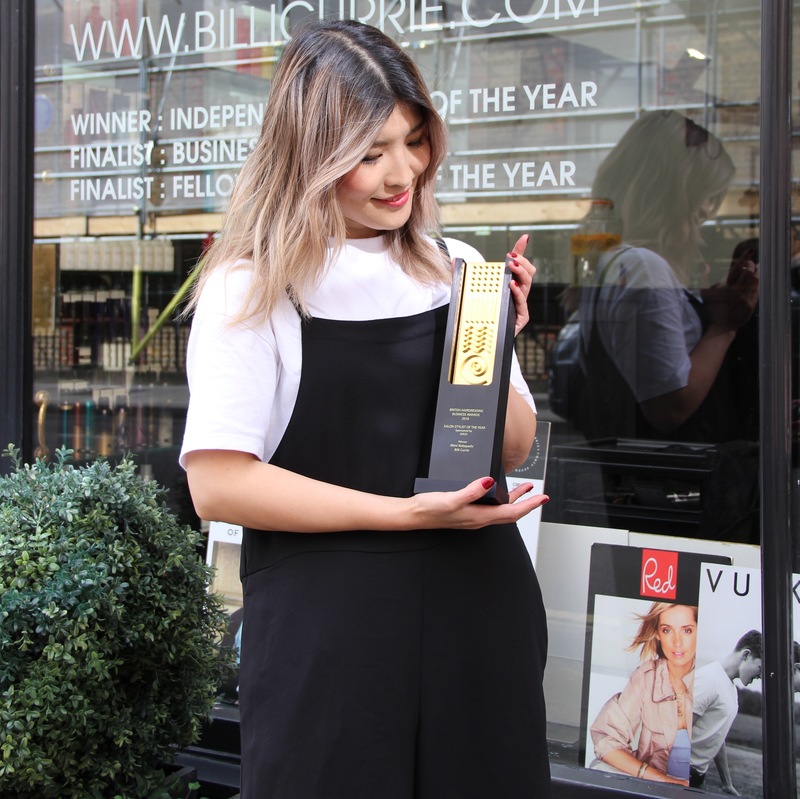 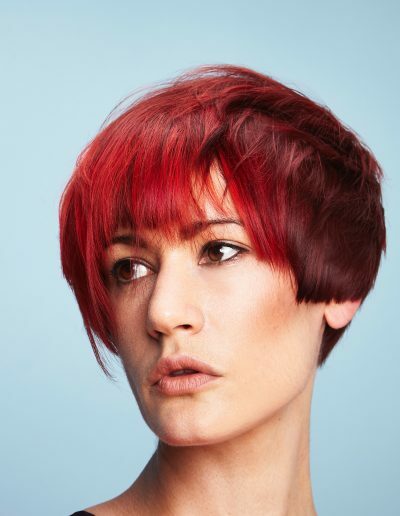 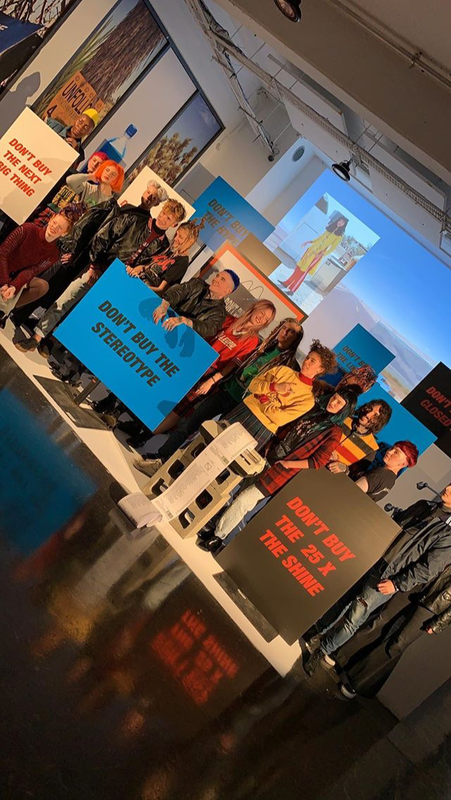 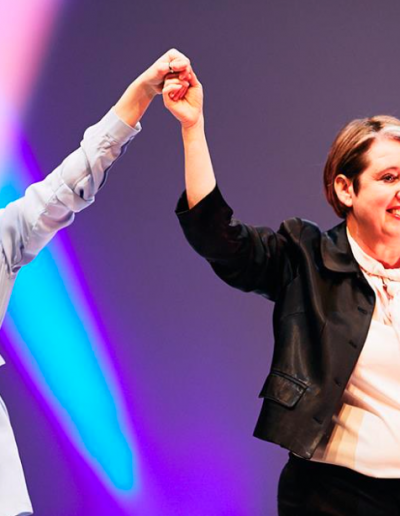 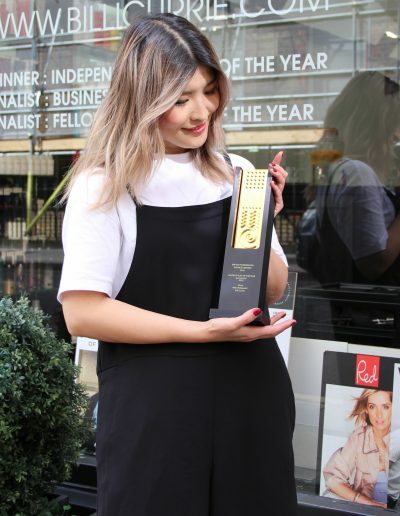 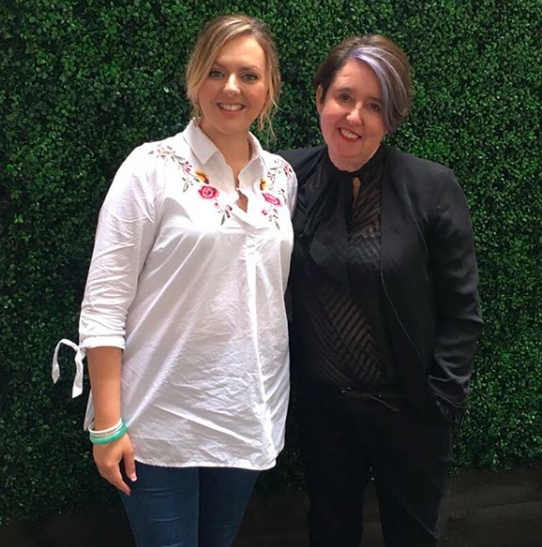 We were delighted in April to welcome to the Salon The Fellowship for British hairdressing winner Nicola Hamm for the step up and shine scholarship 2018. 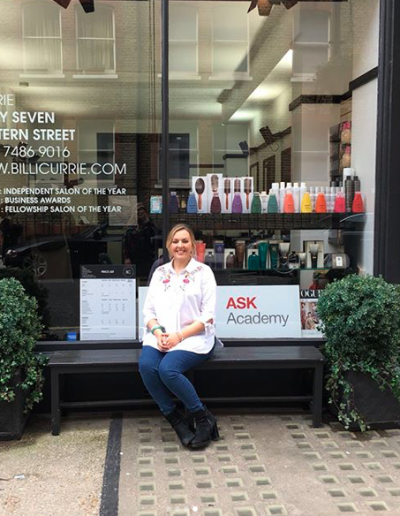 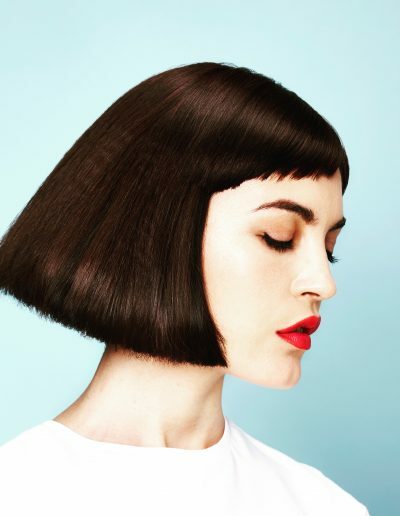 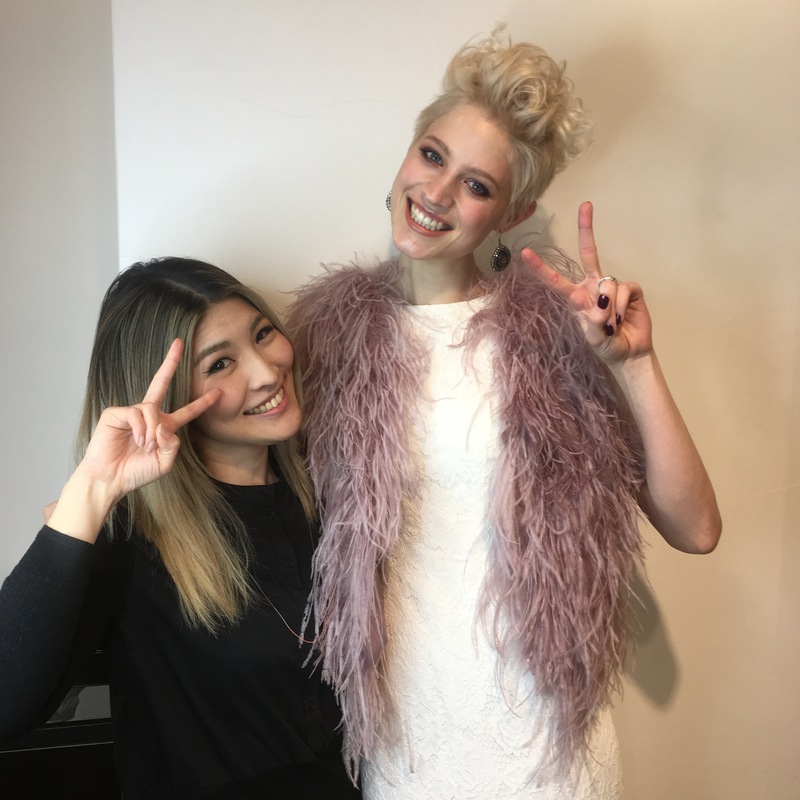 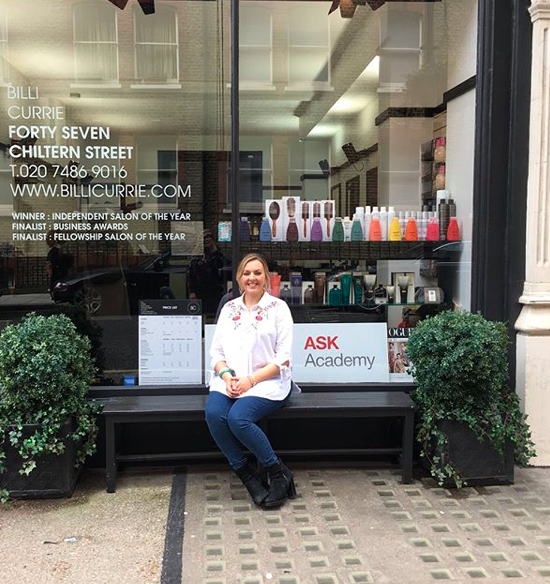 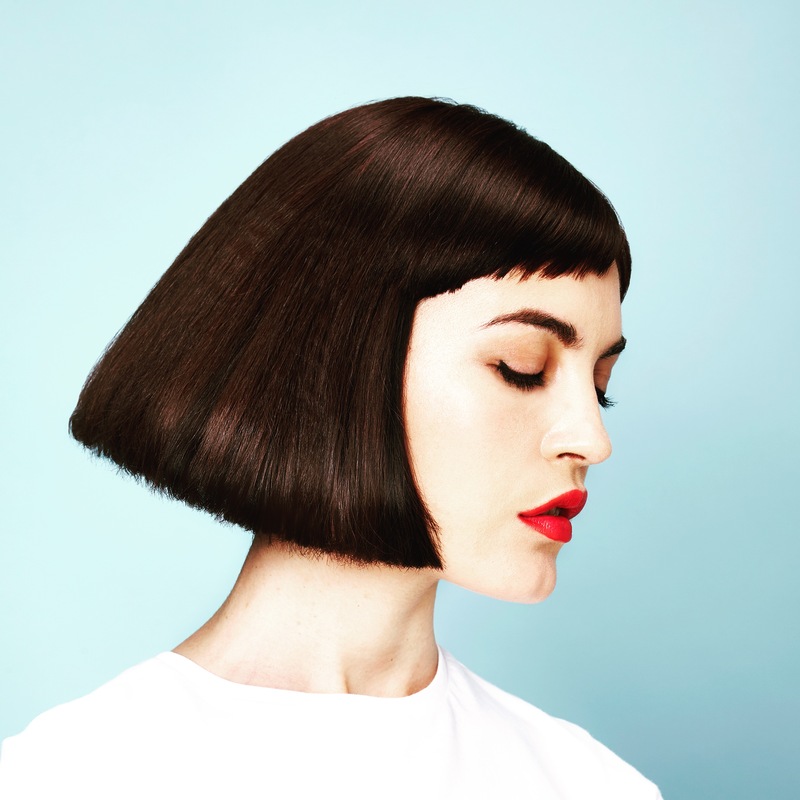 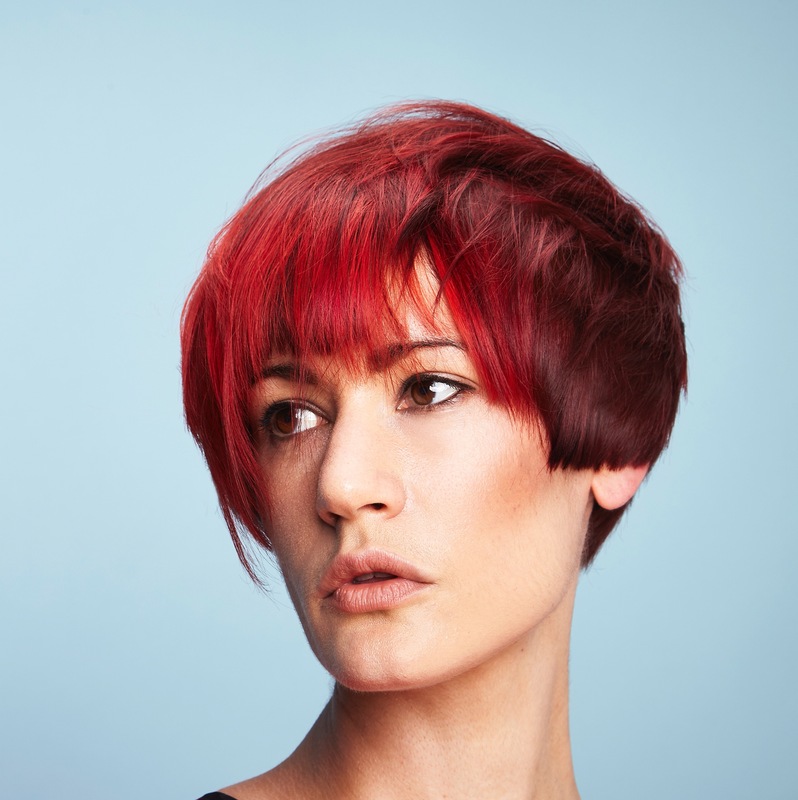 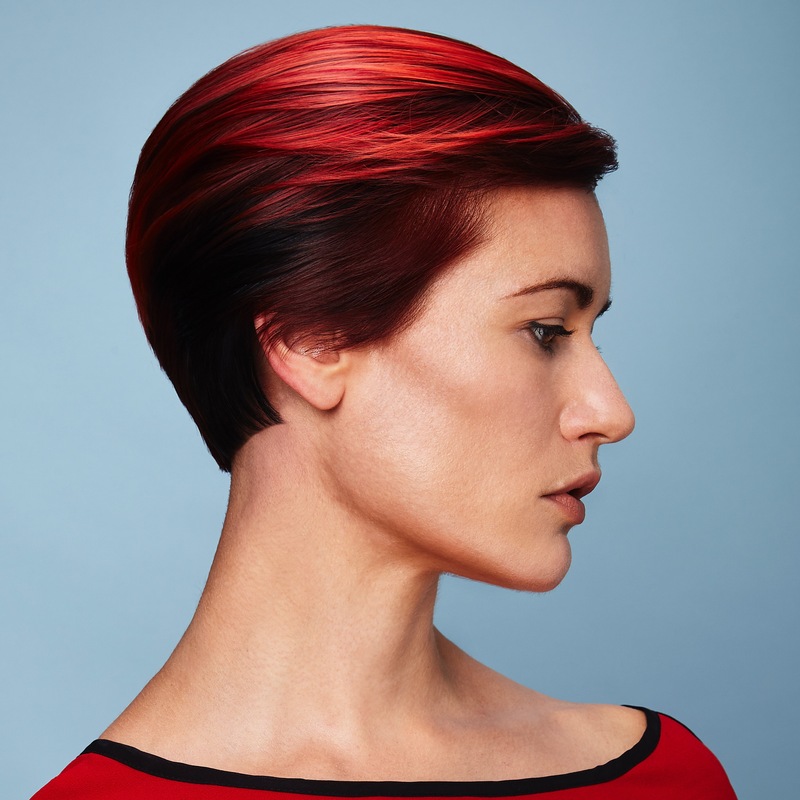 Nicola has won £2,500 worth of hair education, & a year being mentored by Debbie Currie. 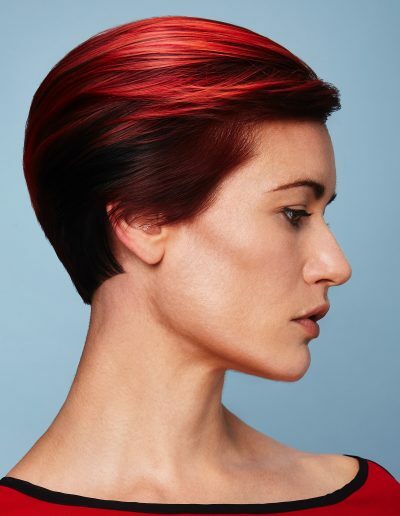 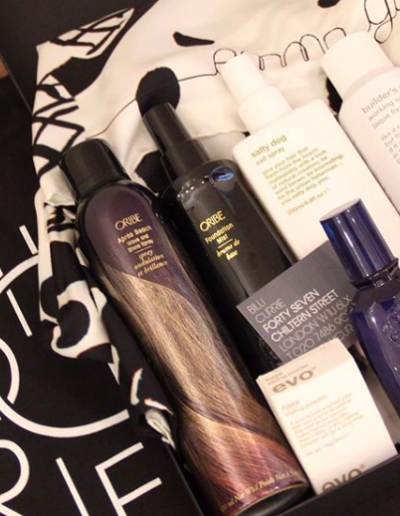 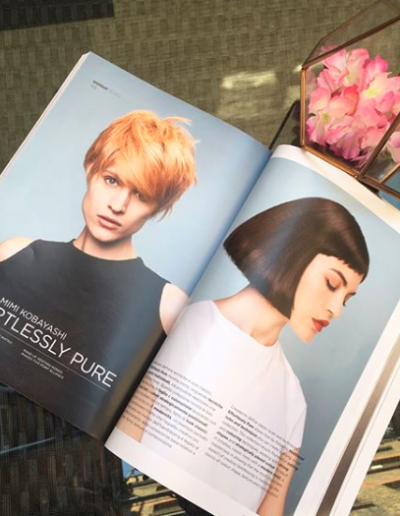 The EFFORTLESSLY PURE Collection was featured in Hair Trends Magazine. 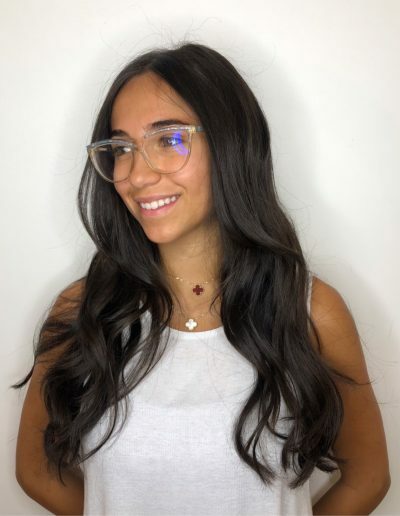 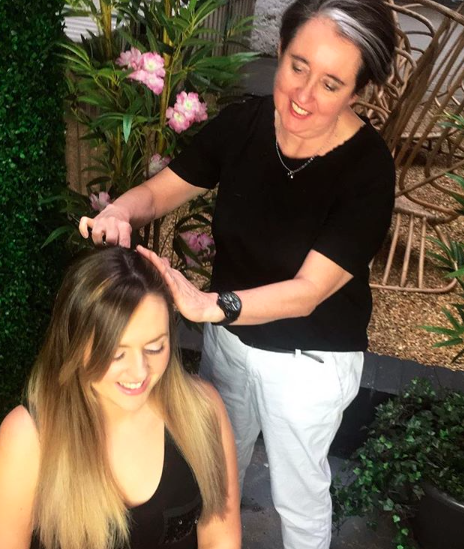 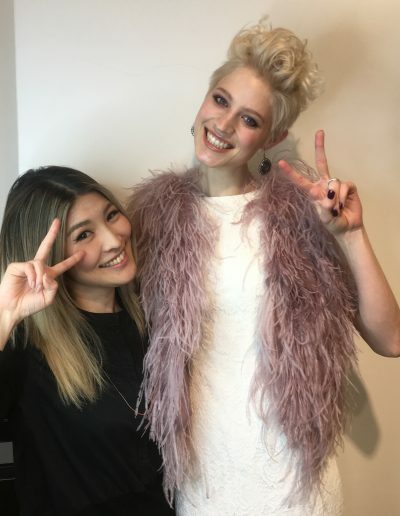 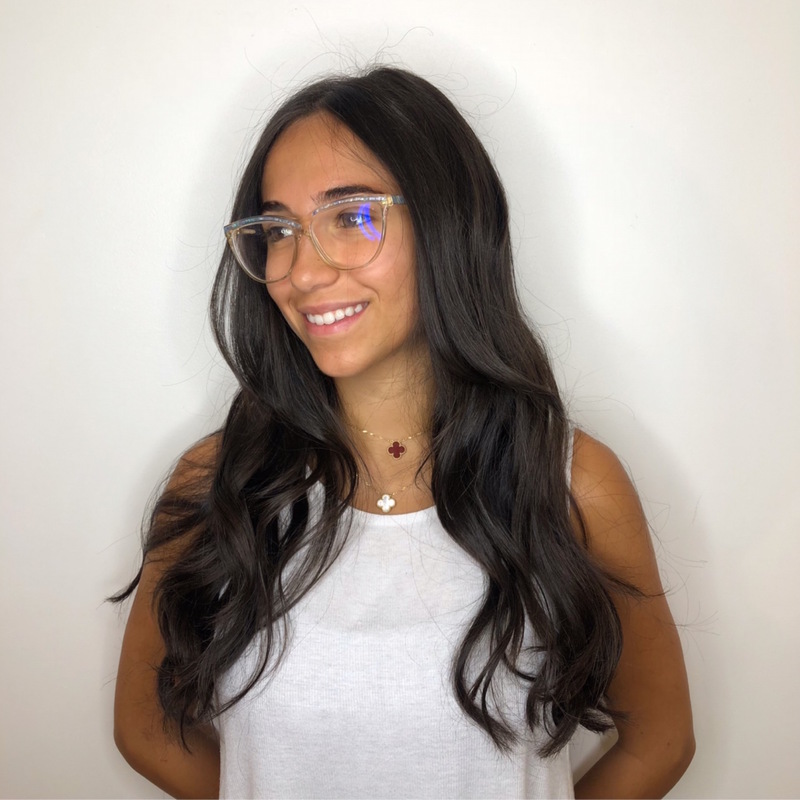 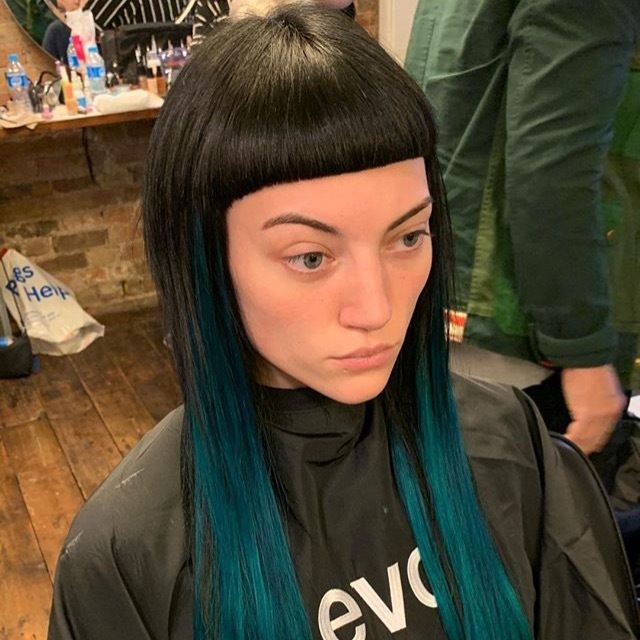 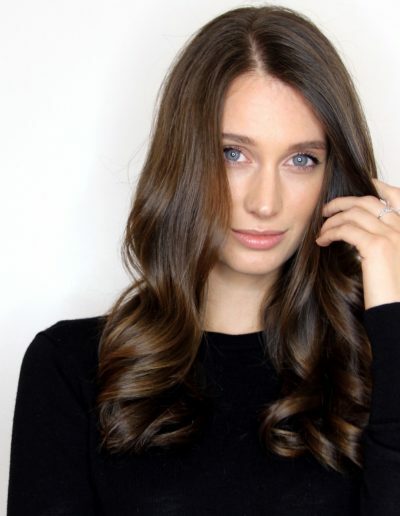 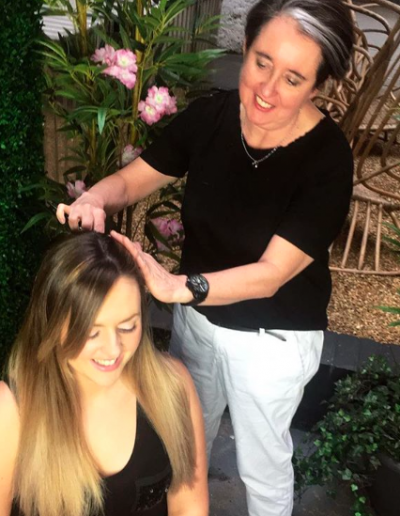 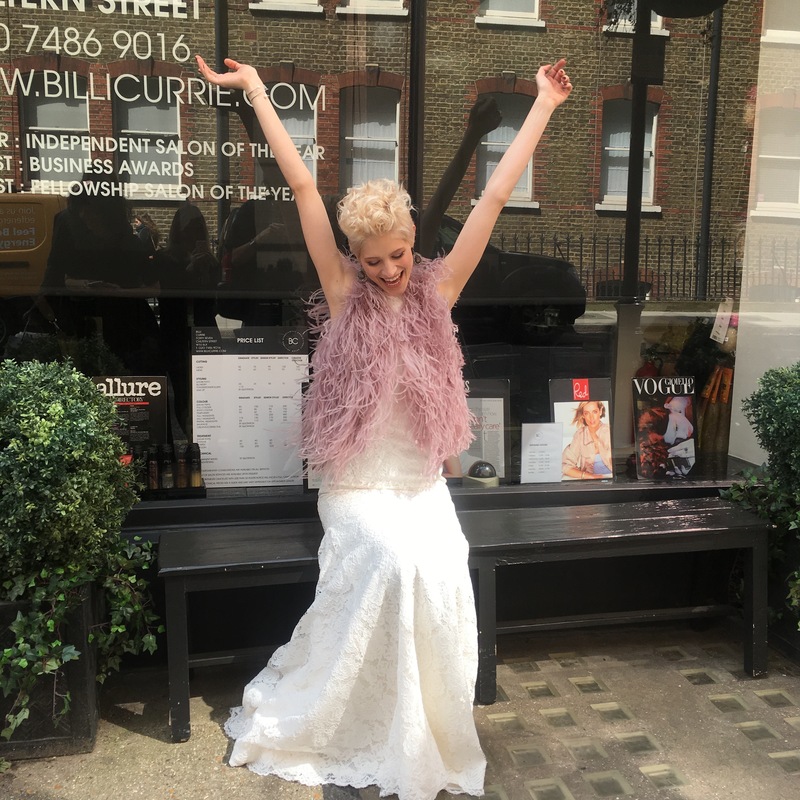 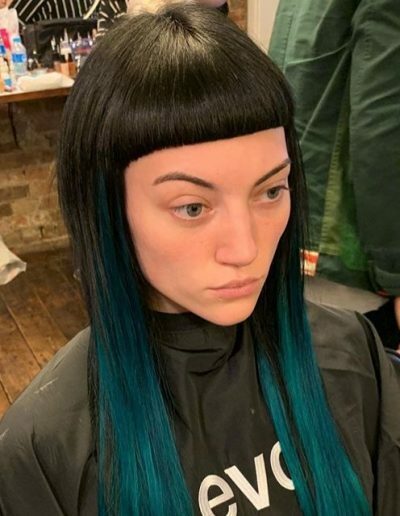 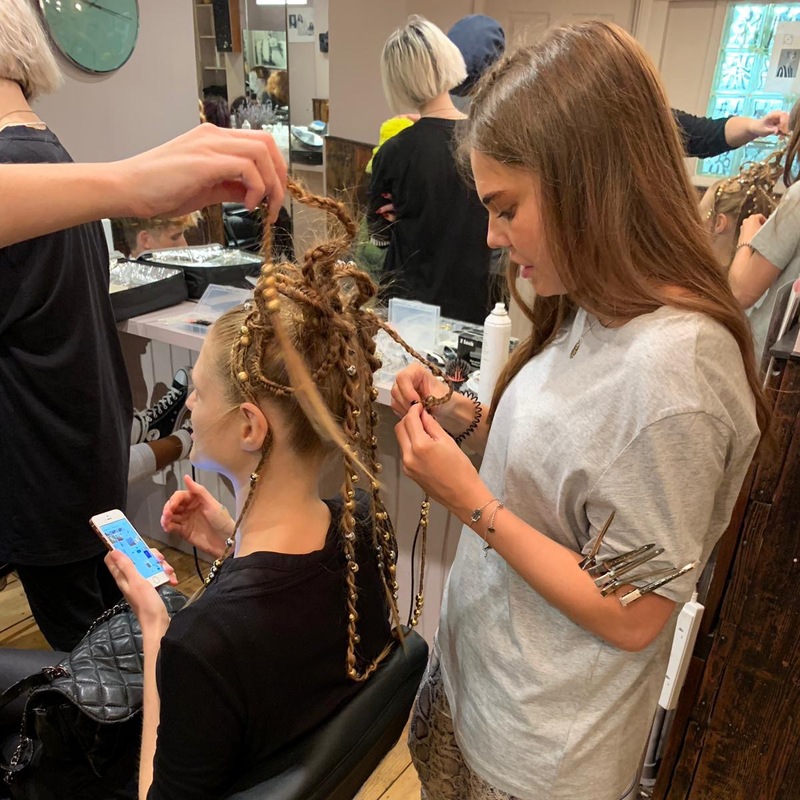 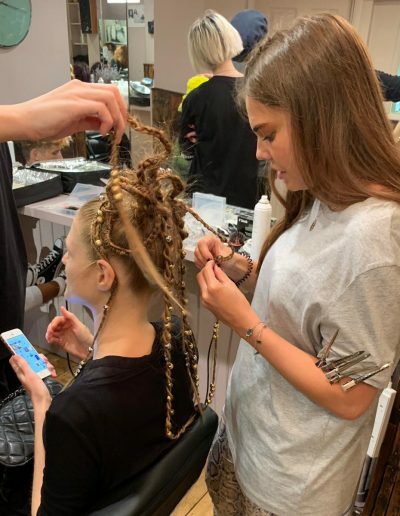 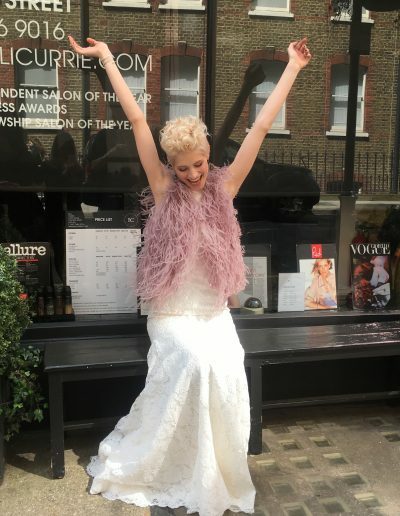 We also had OUR IN-HOUSE MODEL FLO have her wedding prep with us at the salon, it was really special with lots of bubbly for the bride and her family. 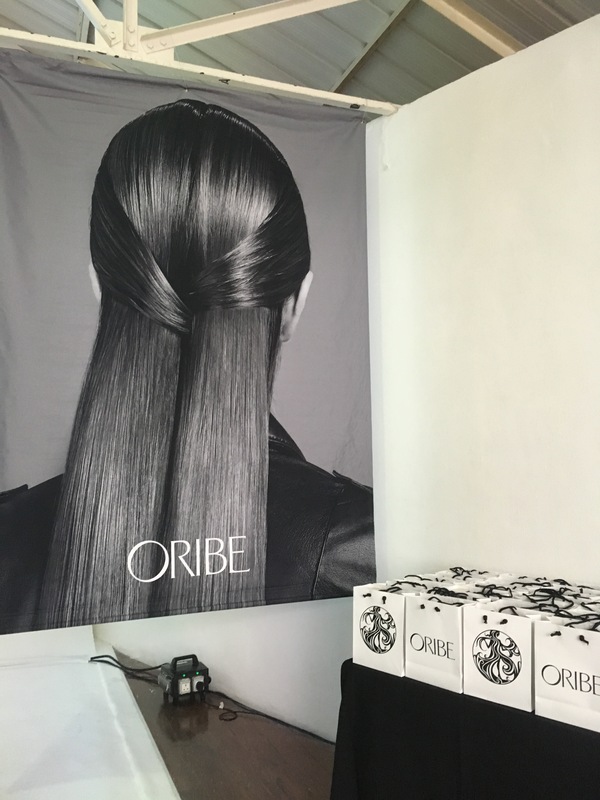 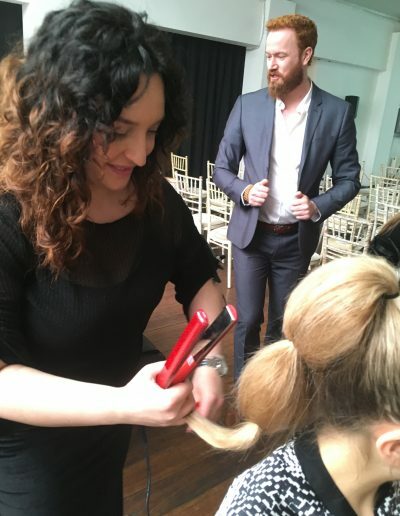 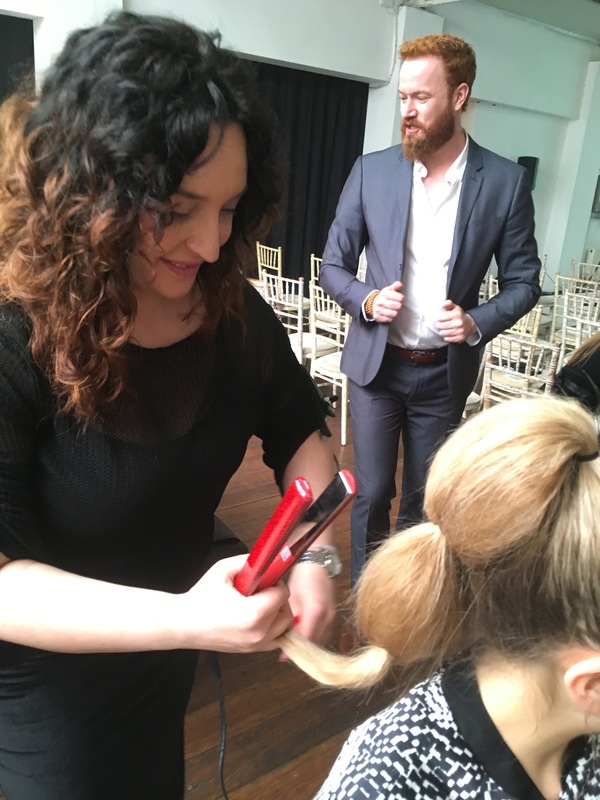 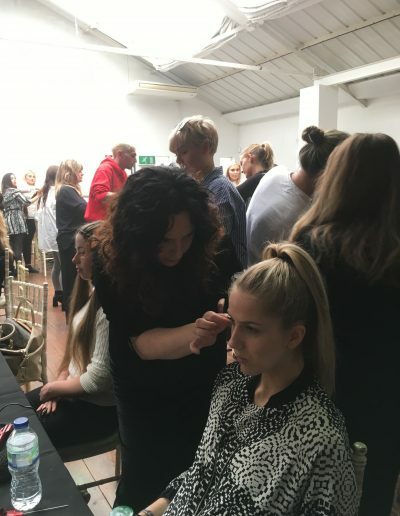 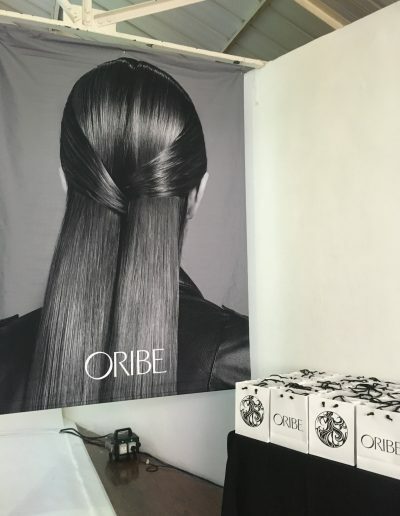 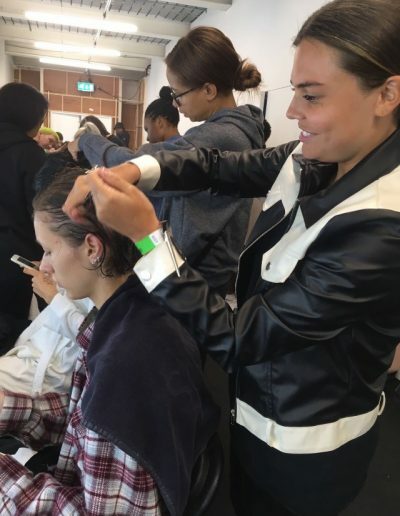 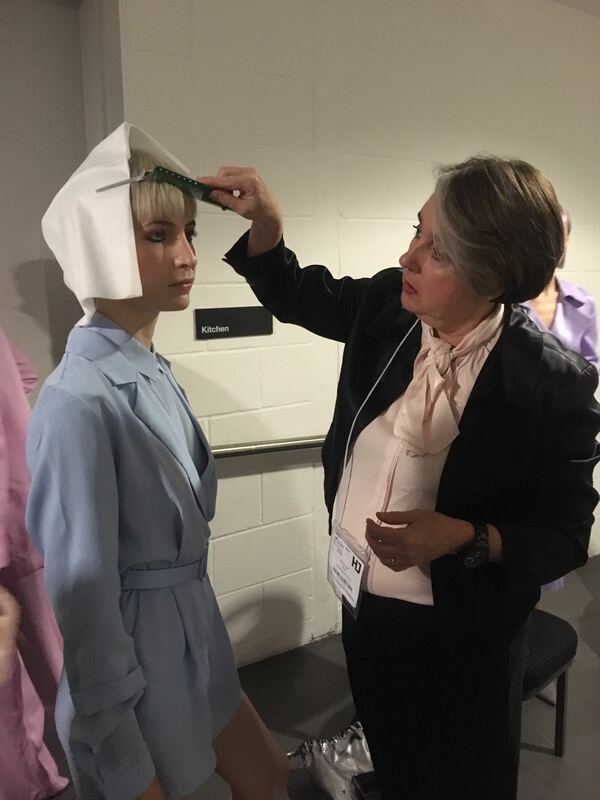 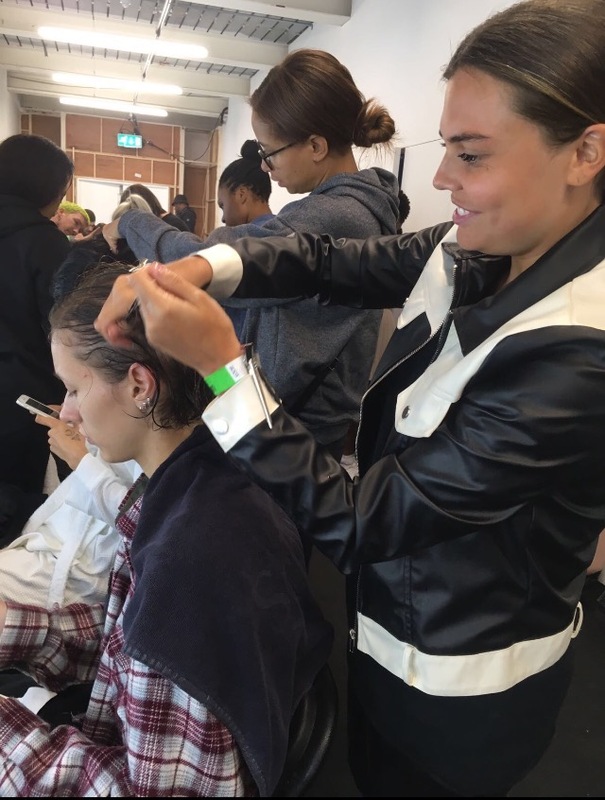 OUR TEAM were inspired when they took part in the ORIBE SIGNATURE SESSION showcasing & working on looks from international fashion shows. 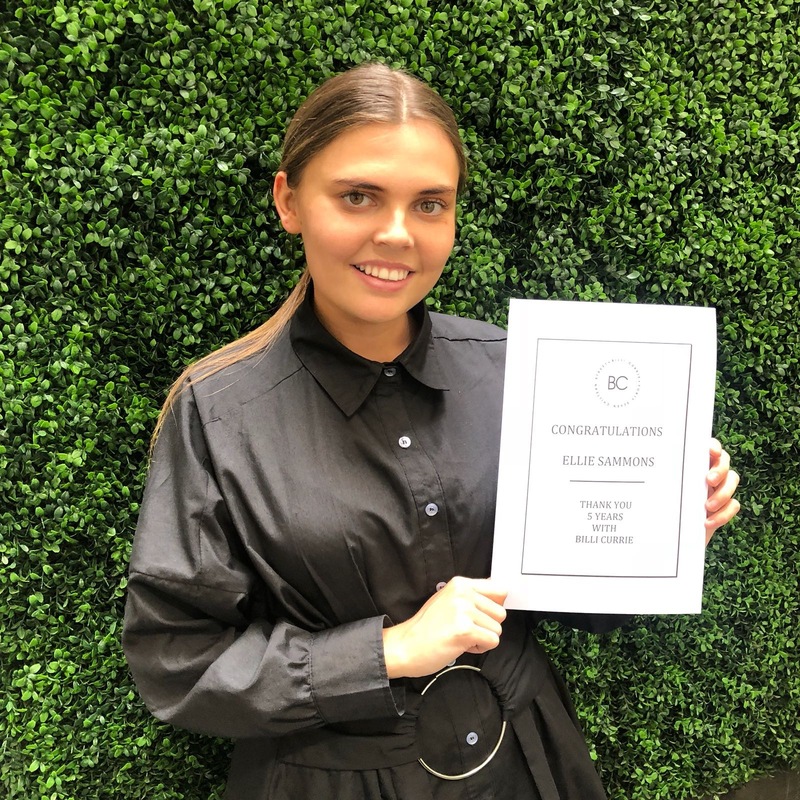 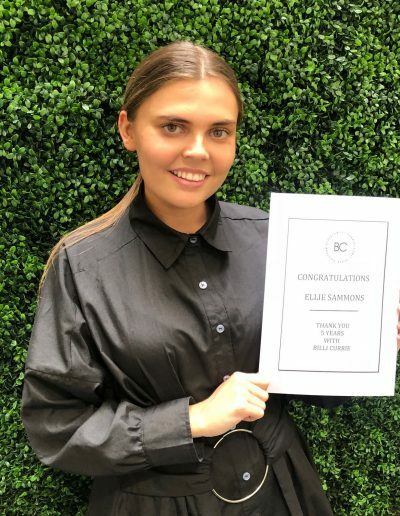 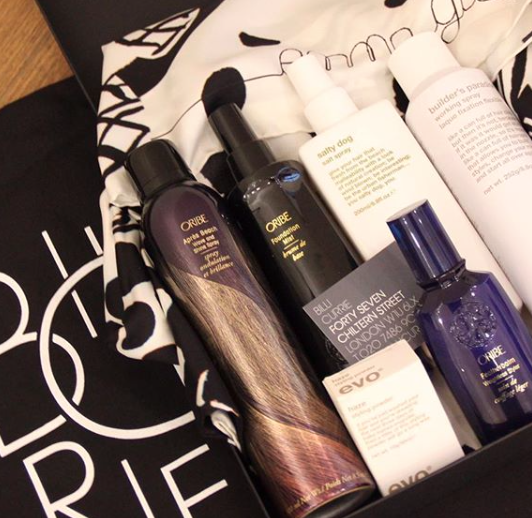 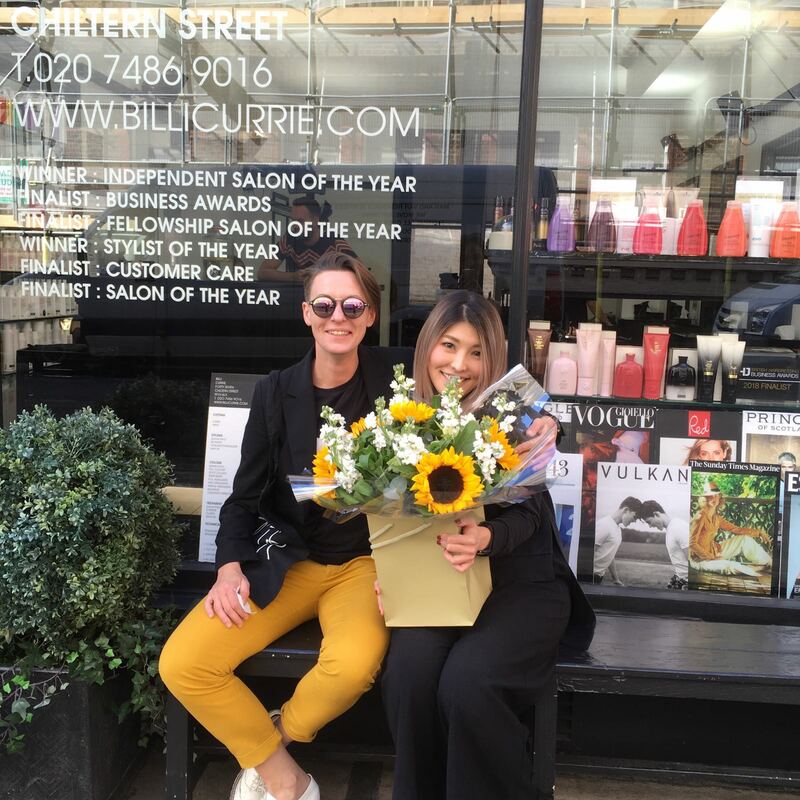 When JULY came our Stylist ELLIE celebrated being with BC for 5 years, she enjoyed spending her gift at Selfridges! 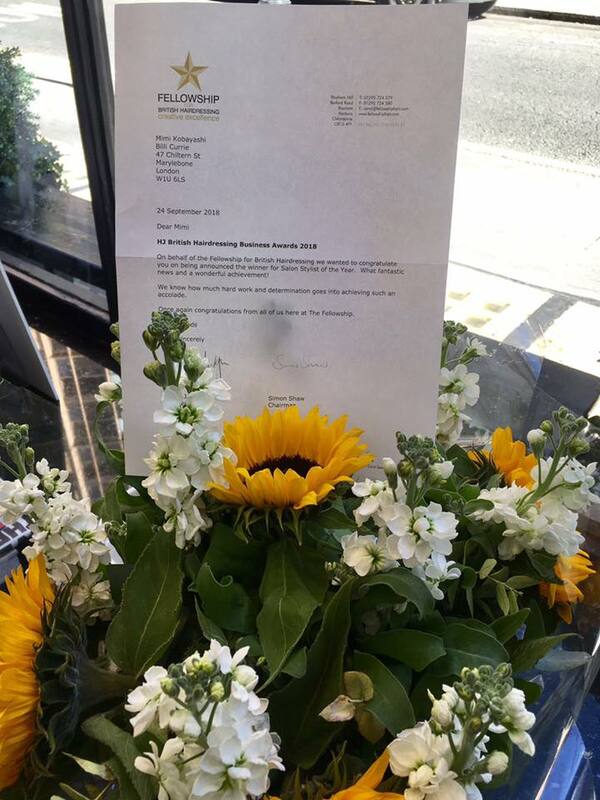 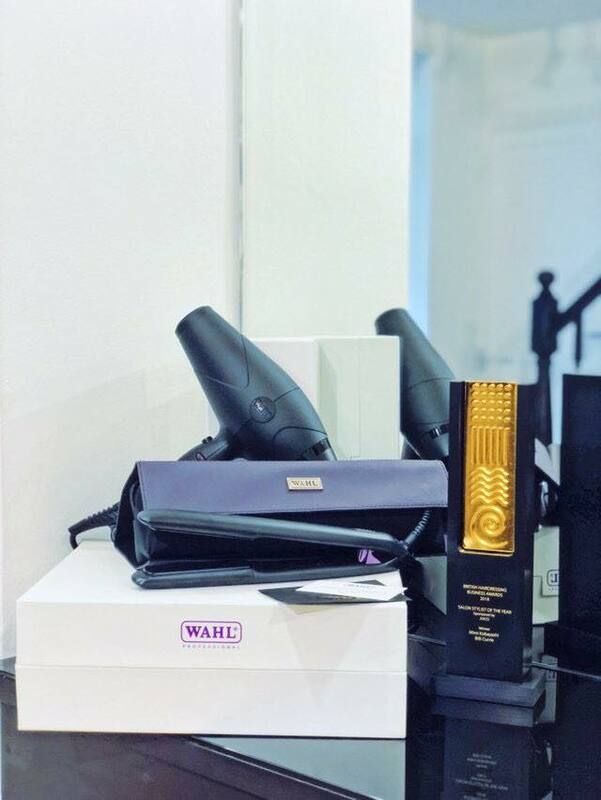 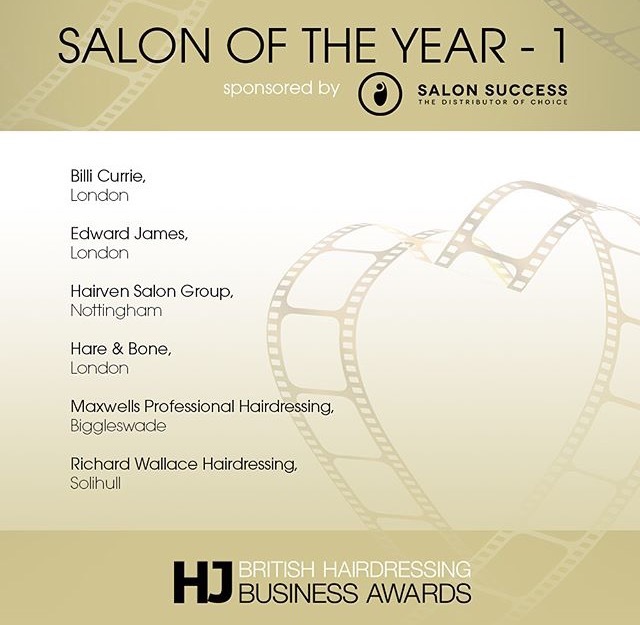 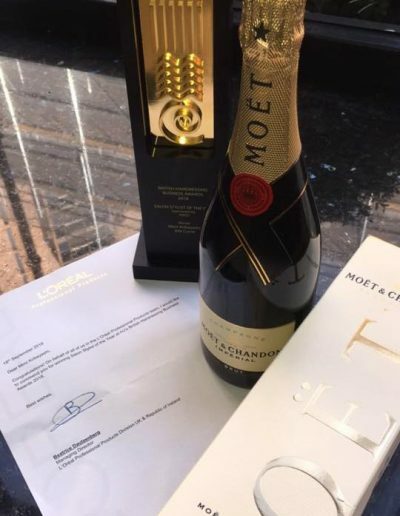 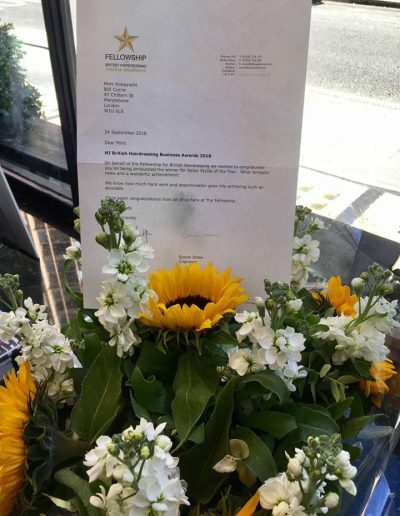 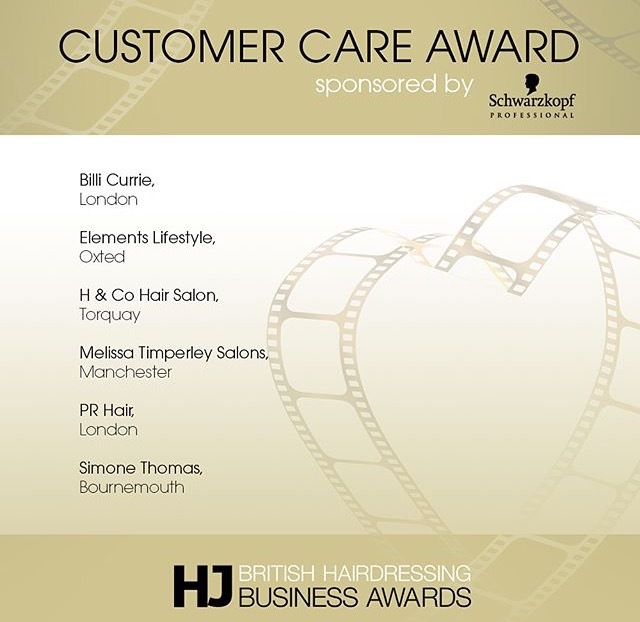 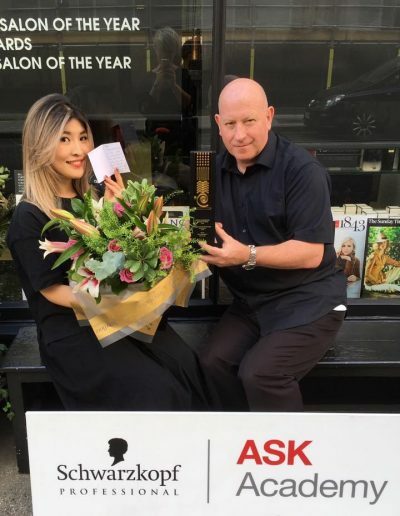 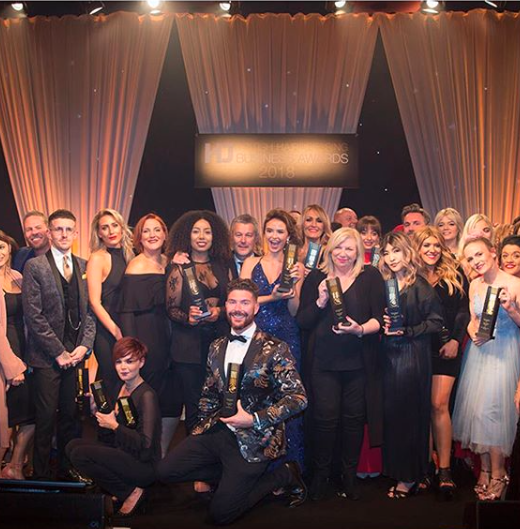 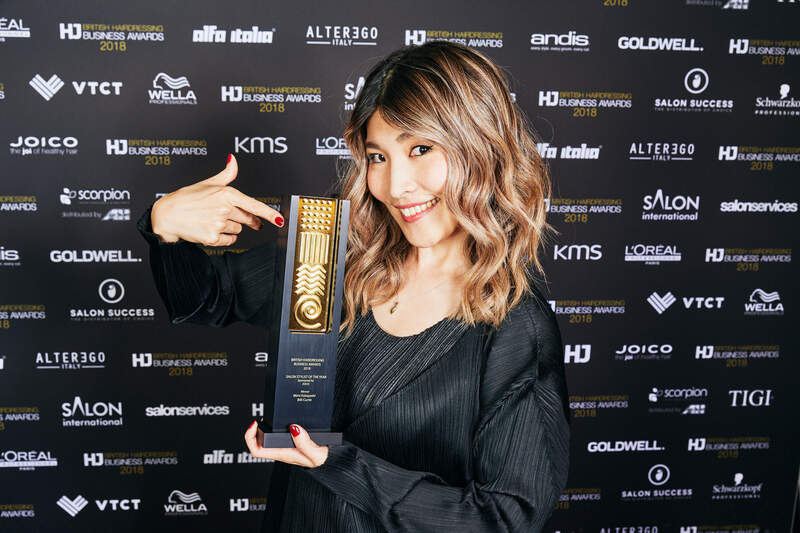 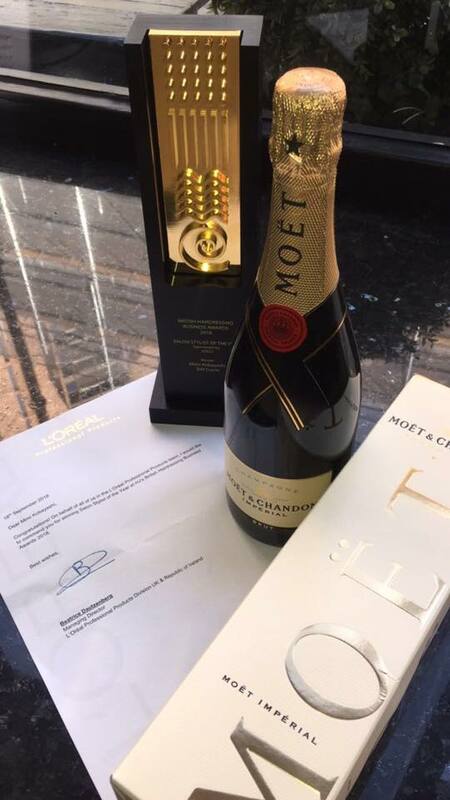 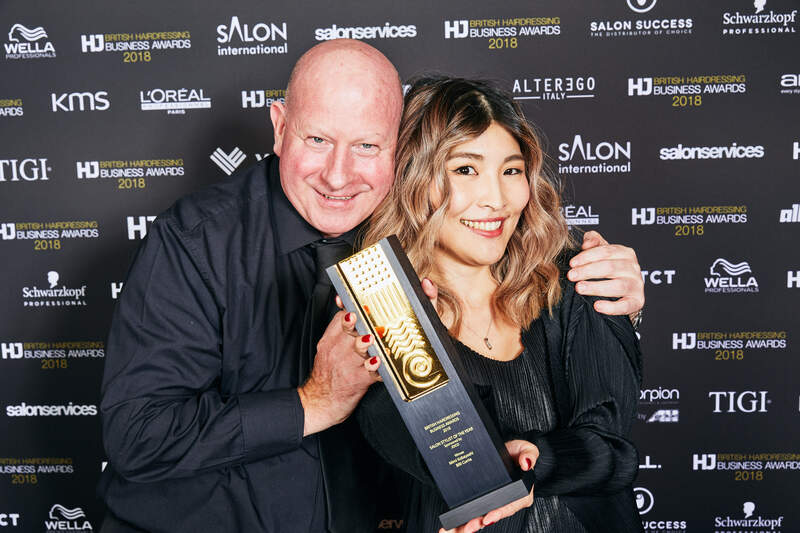 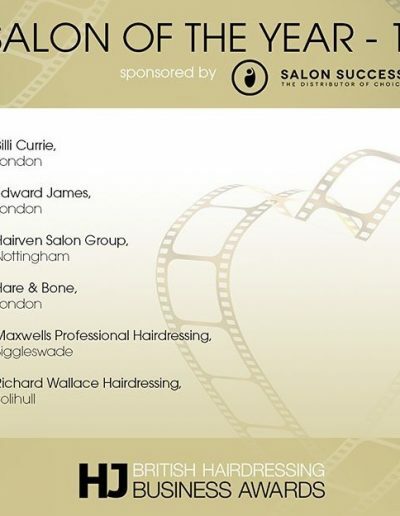 THE SALON received news we were FINALIST in 3 categories for the British Hairdressing Business awards, Customer Care, Salon of the year and Stylist of the Year, wow Go Team BC. 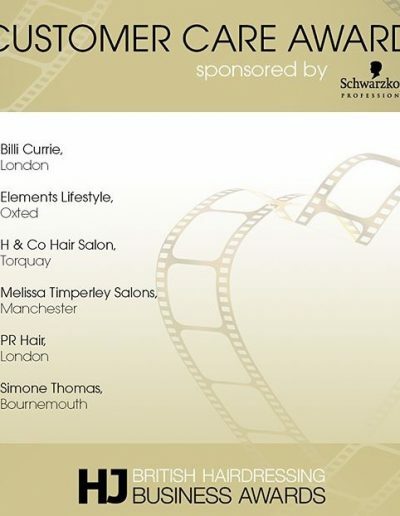 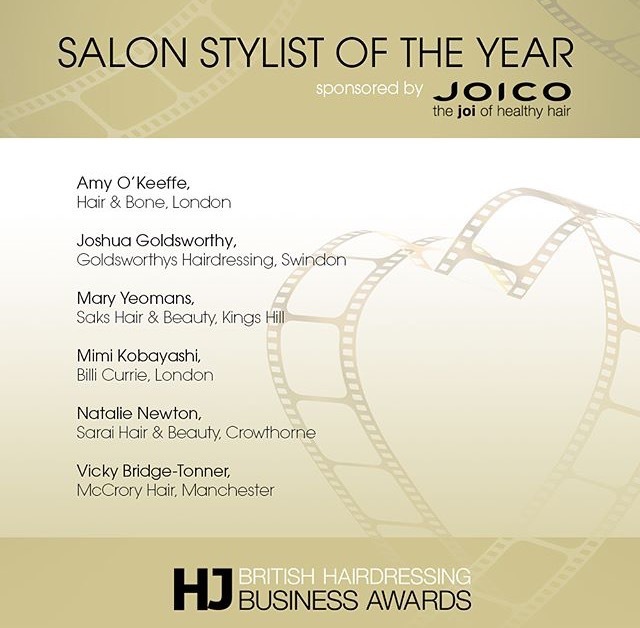 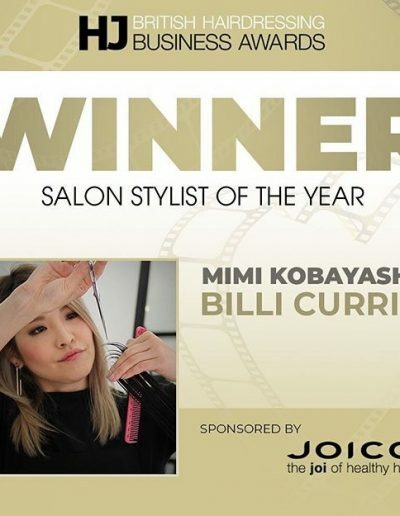 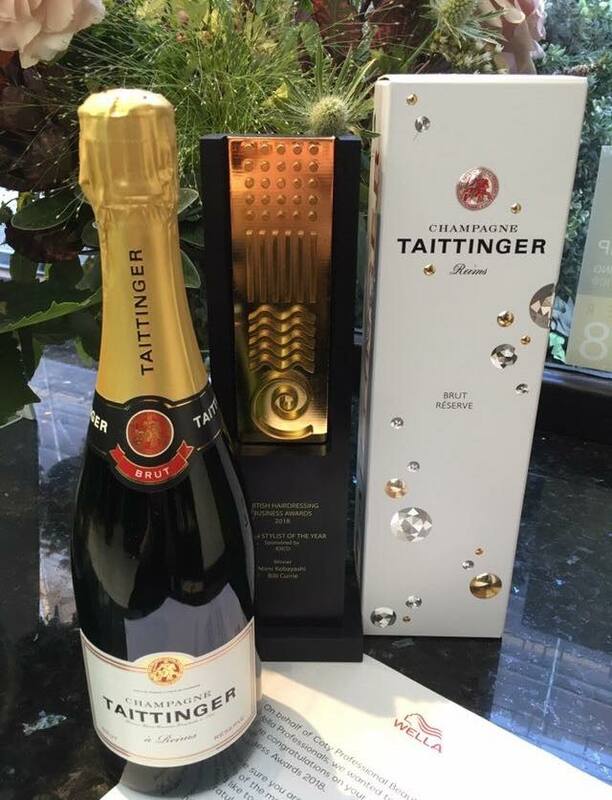 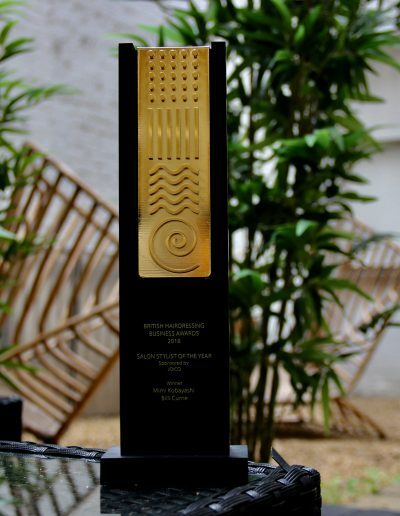 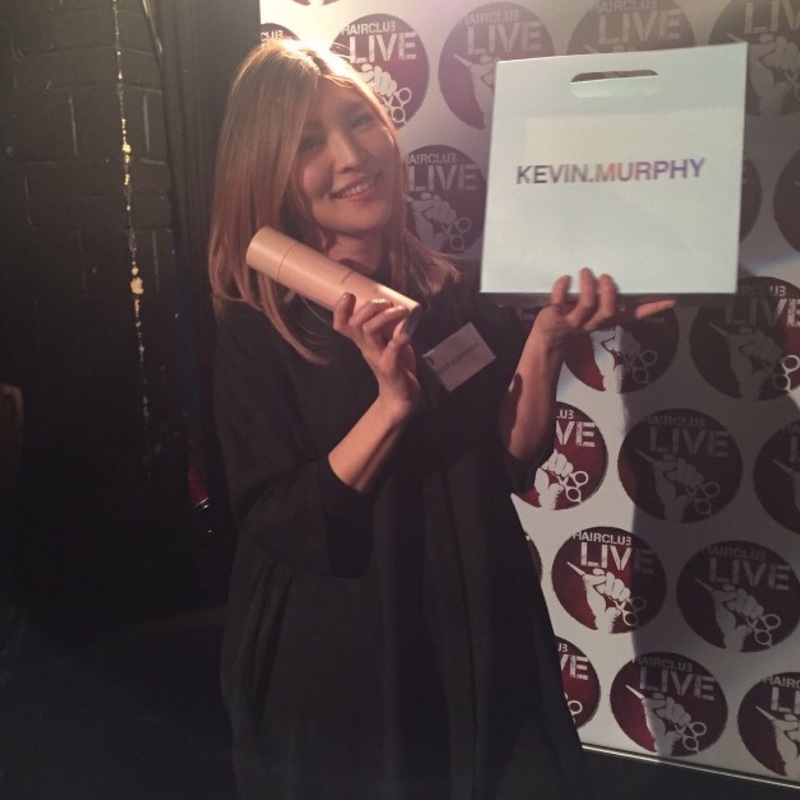 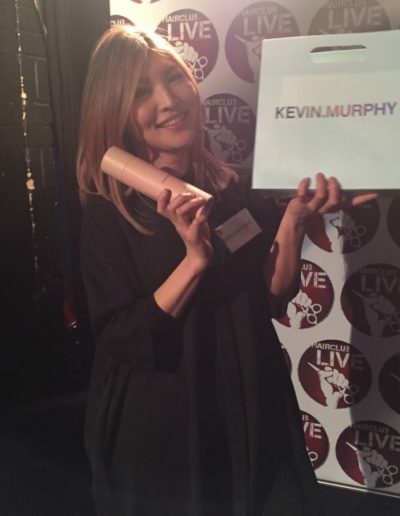 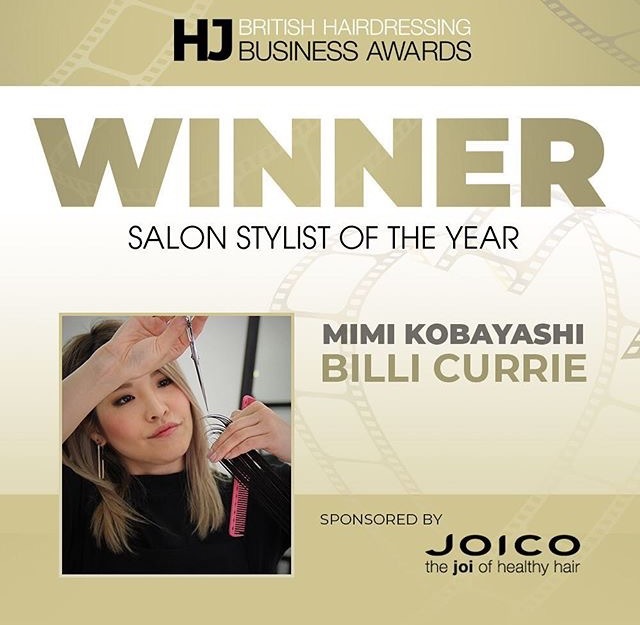 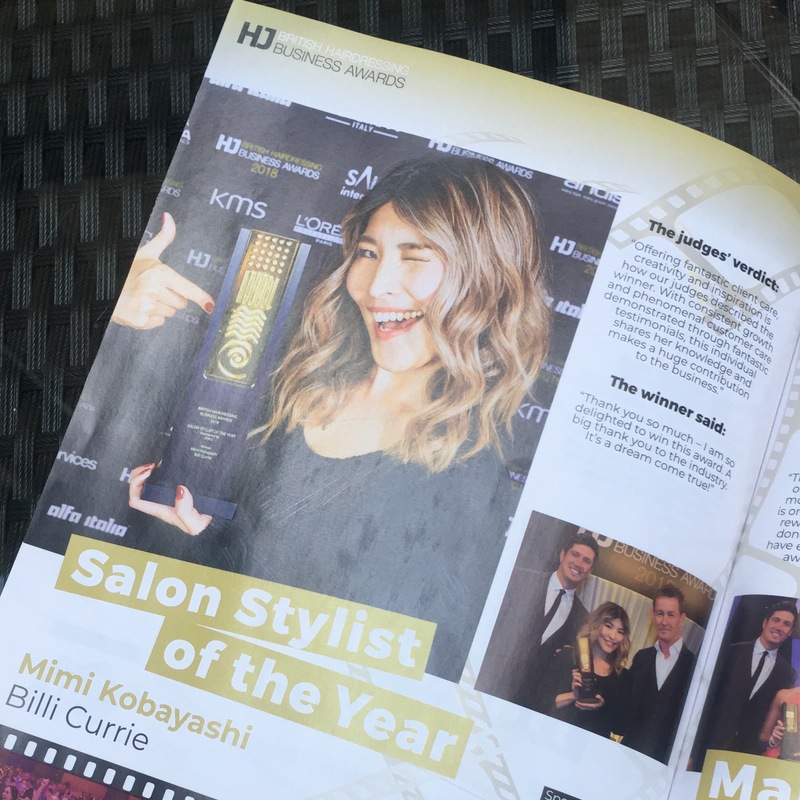 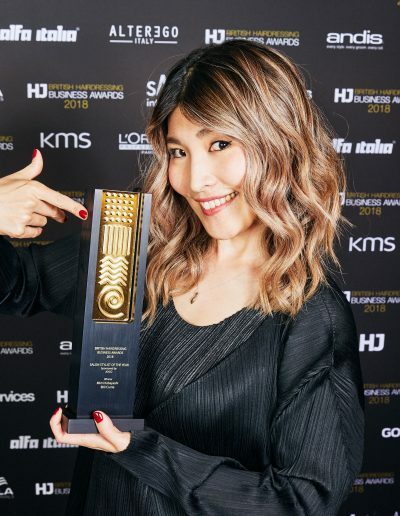 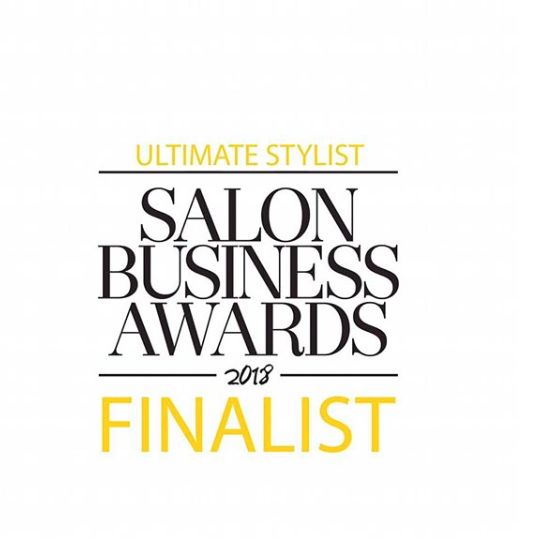 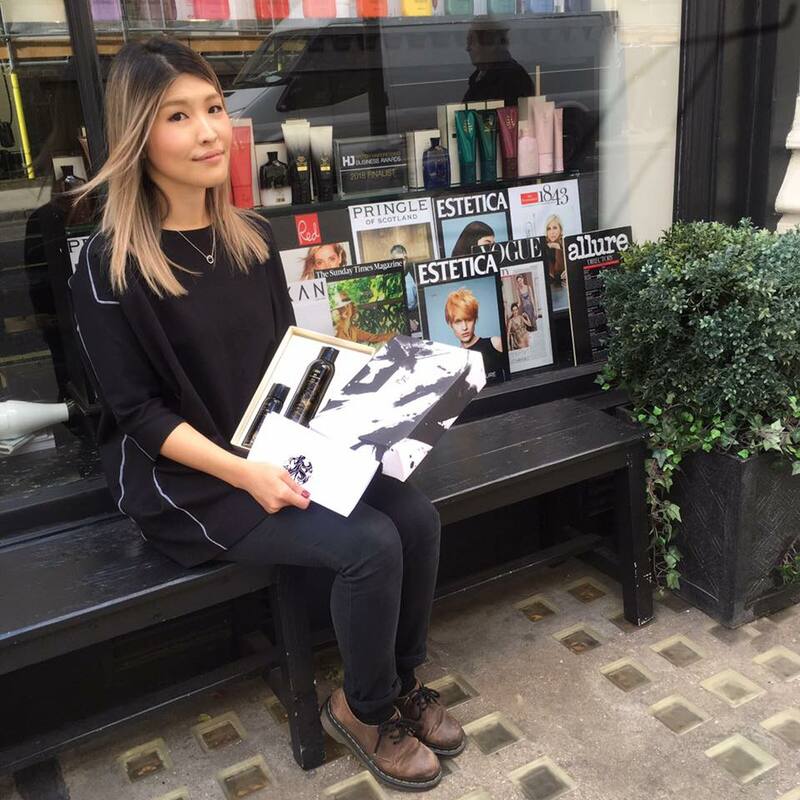 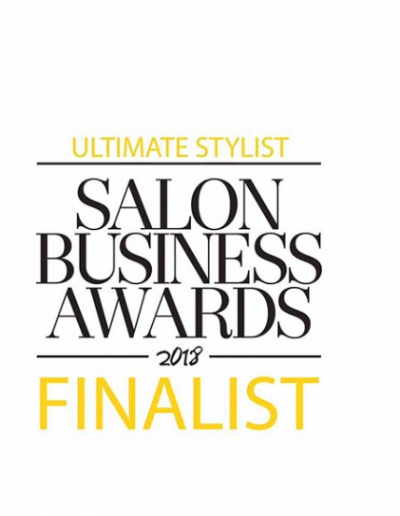 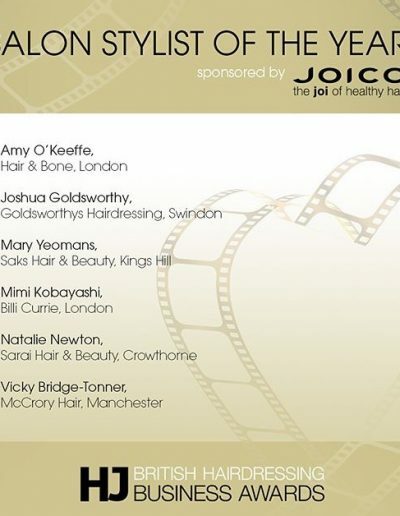 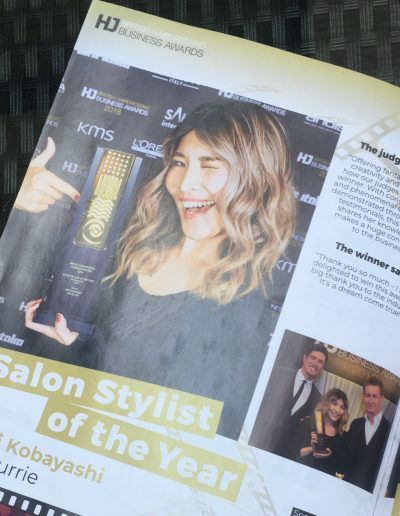 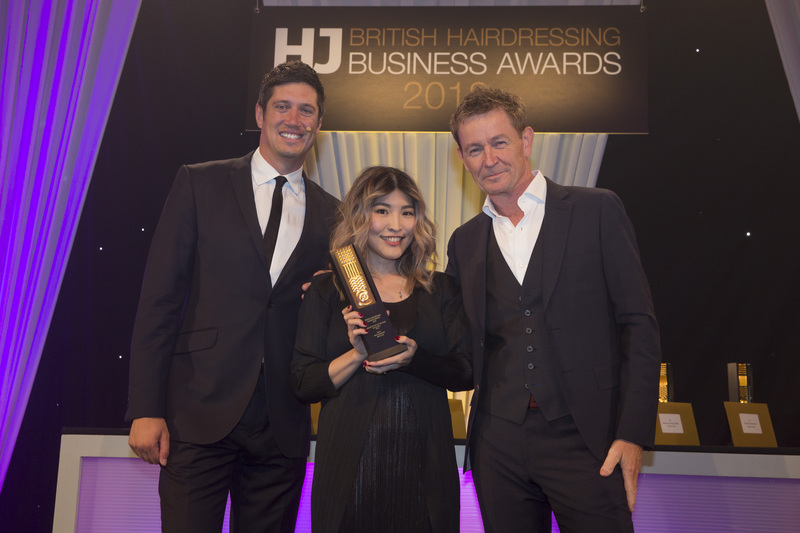 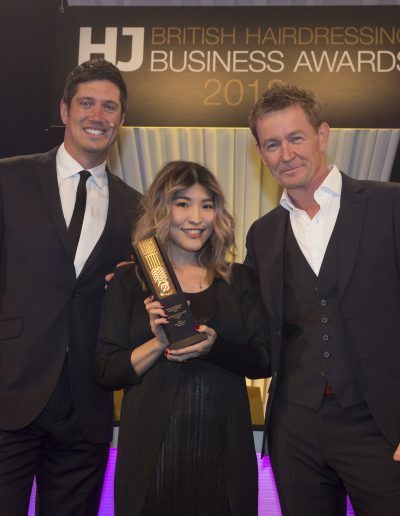 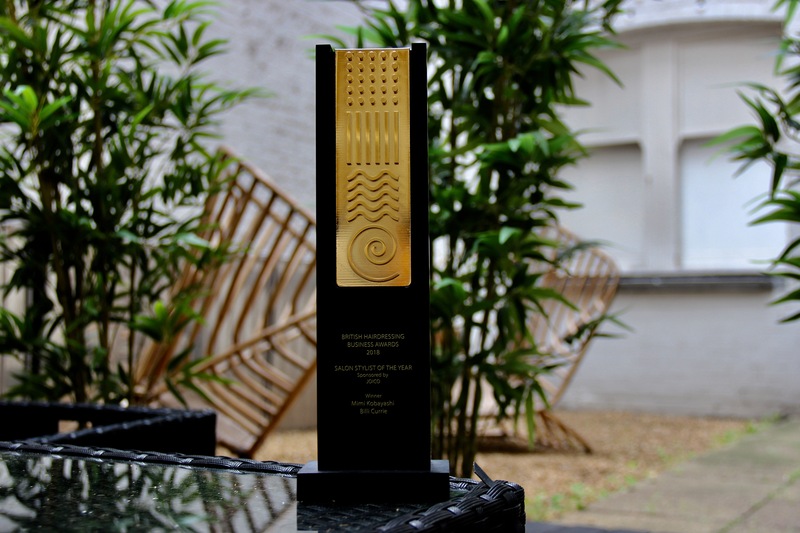 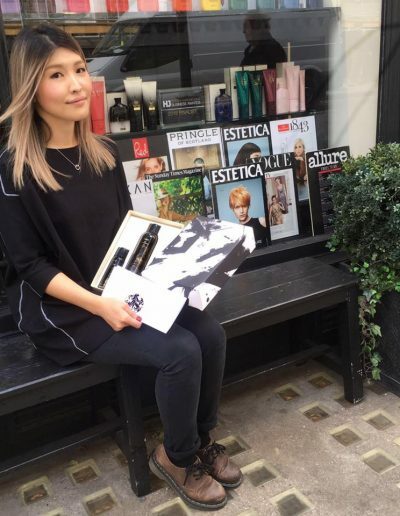 We are thrilled to say Mimi after being interviewed by Industry experts went onto win STYLIST OF THE YEAR. 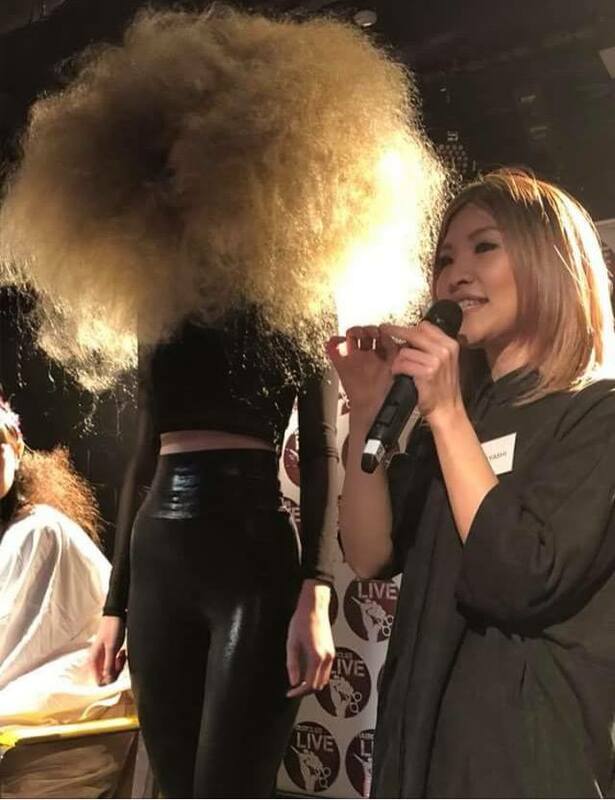 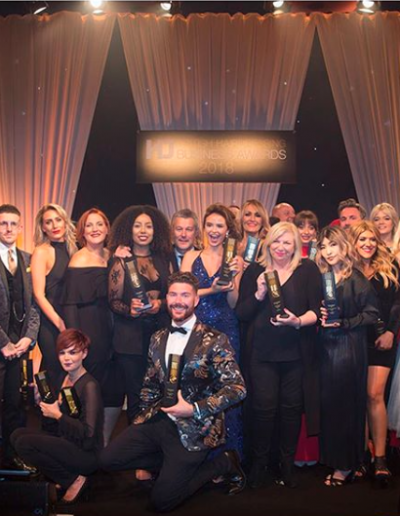 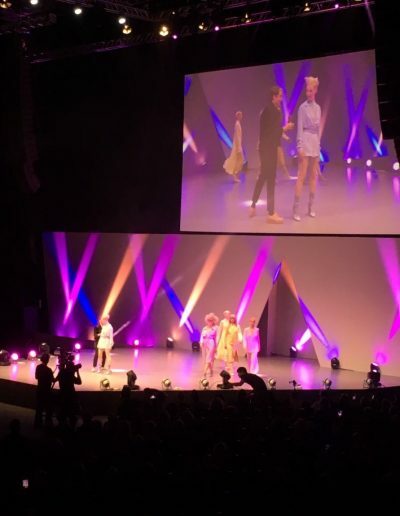 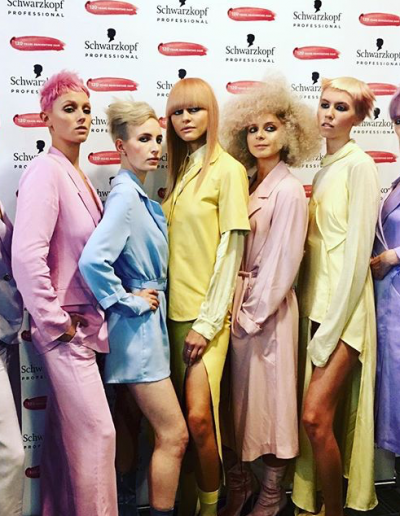 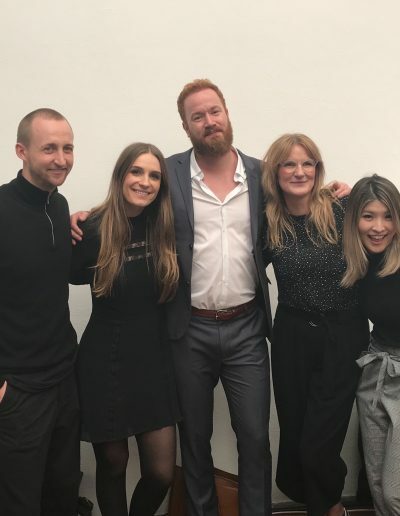 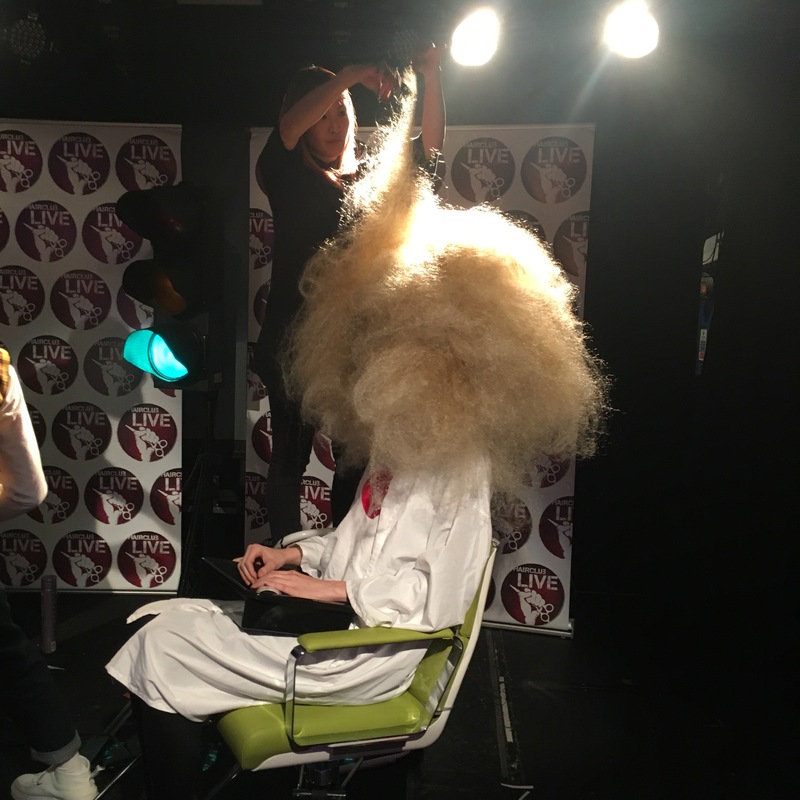 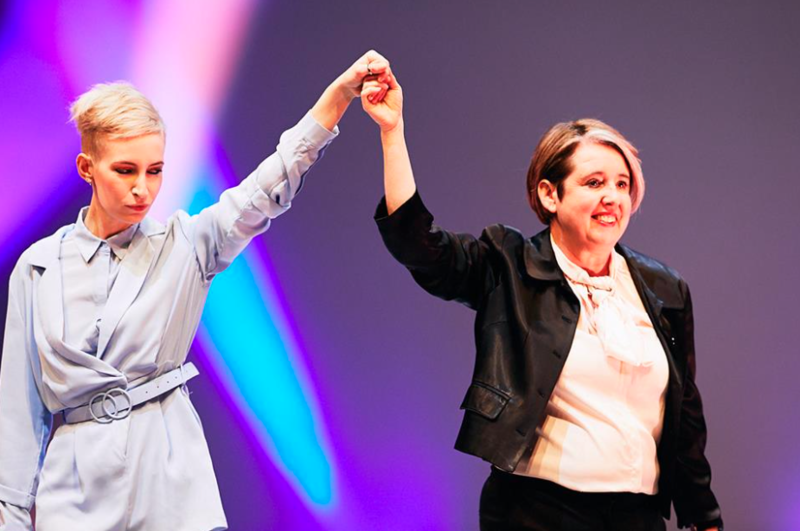 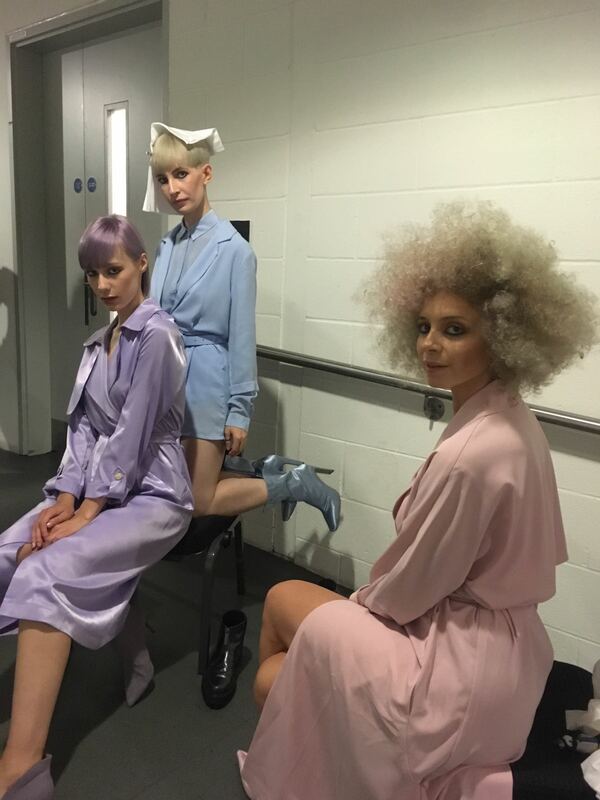 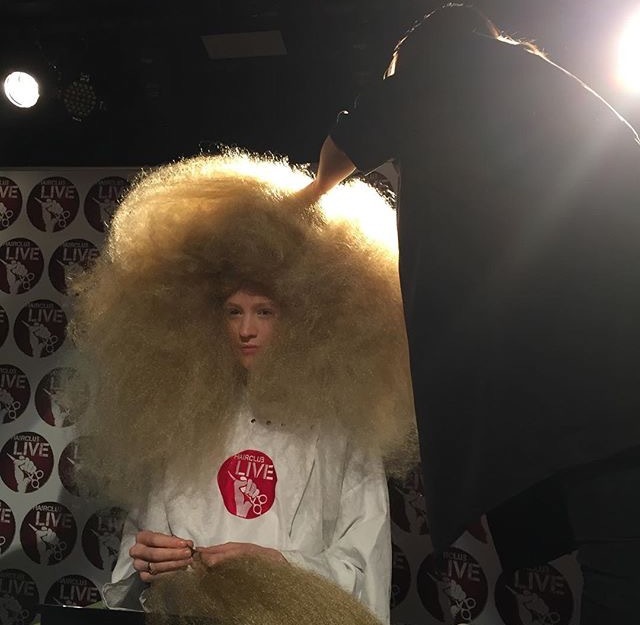 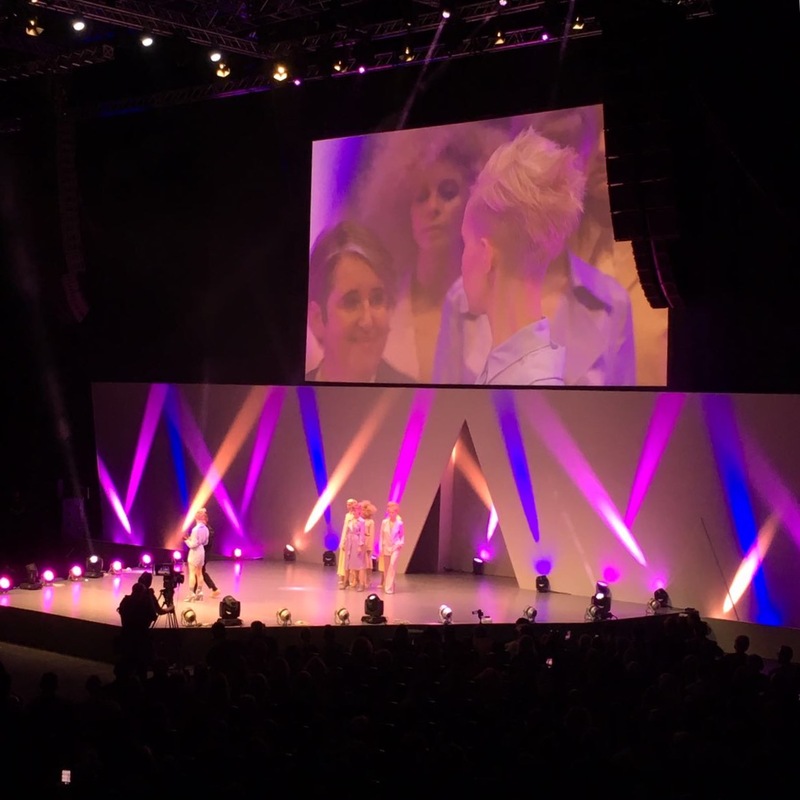 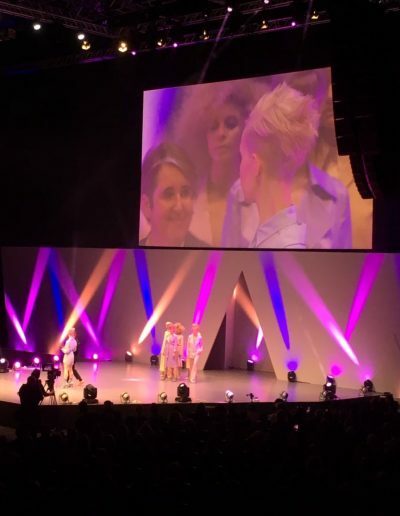 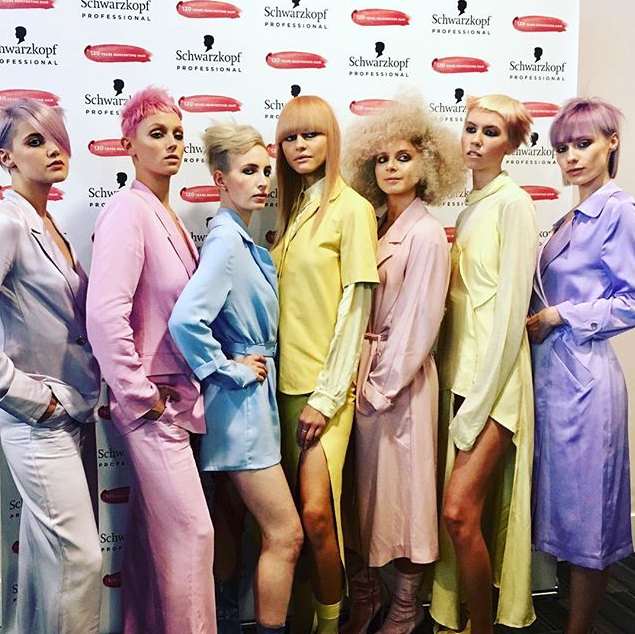 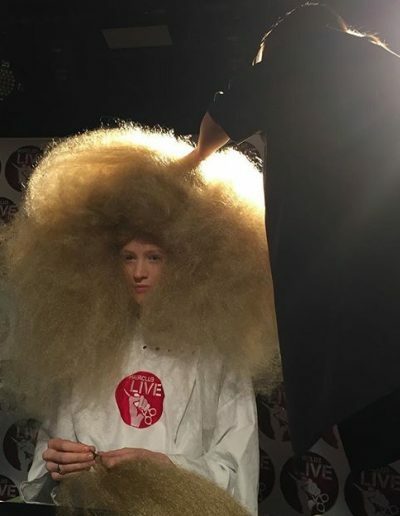 OCTOBER in the hairdressing world is always very busy with events and shows, we had Debbie working at SALON INTERNATIONAL on stage with the rest of the team of UK SCHWARZKOPF Ambassadors, showing the Blonde me collection the show was to celebrate 120 years of Schwarzkopf. 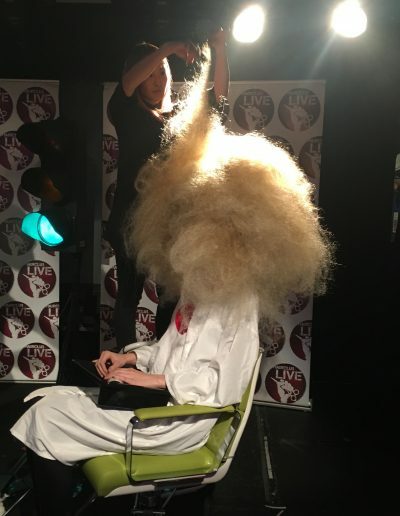 It was really an amazing event as you can see from the images. 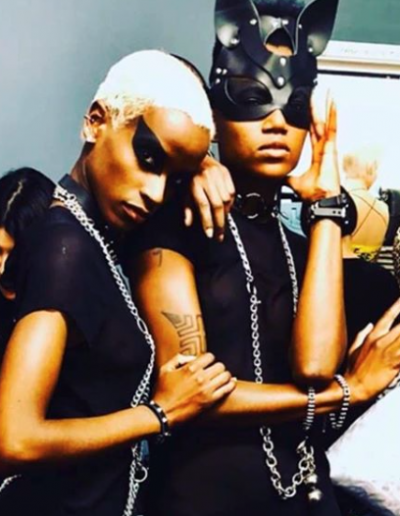 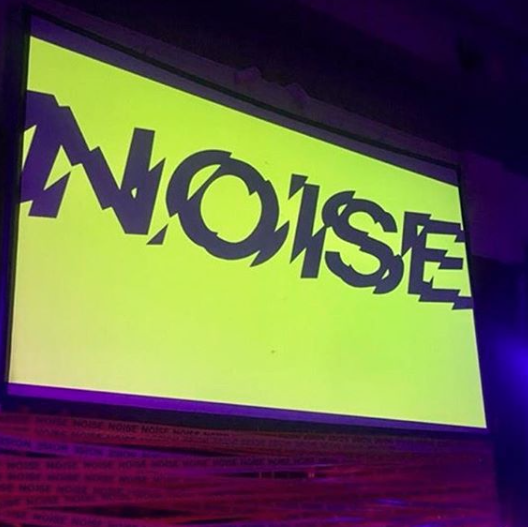 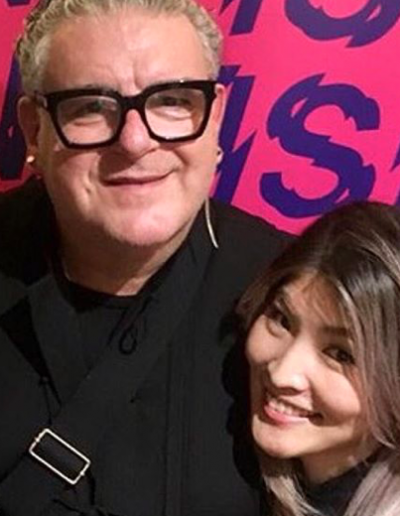 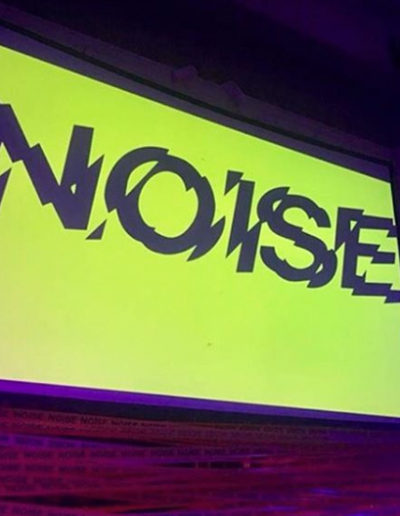 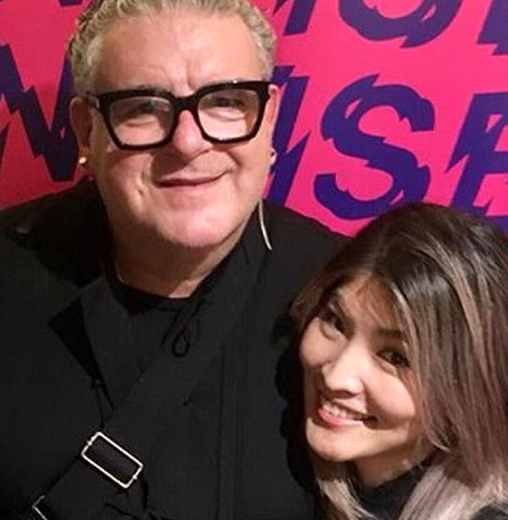 MIMI worked with the Iconic hair artist TIM HARTLY on the Noise Show. 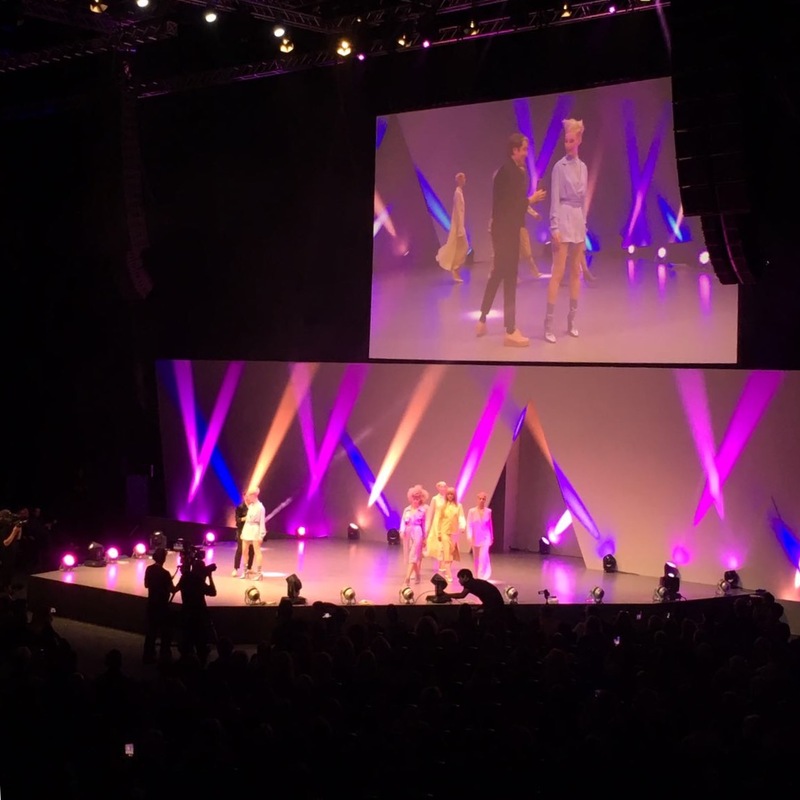 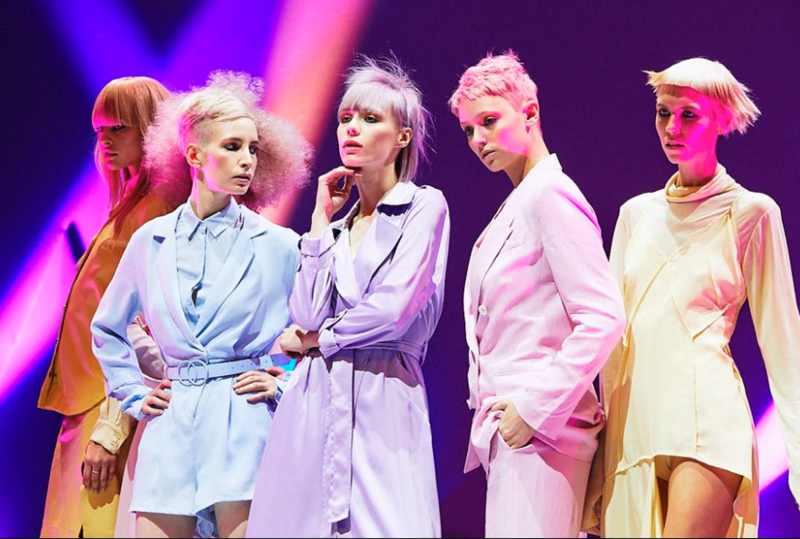 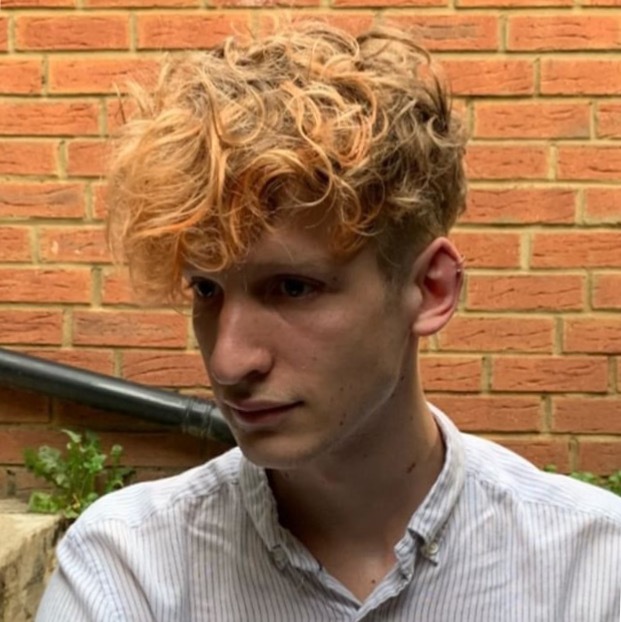 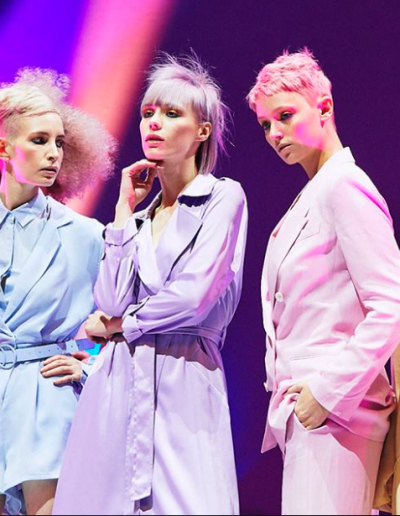 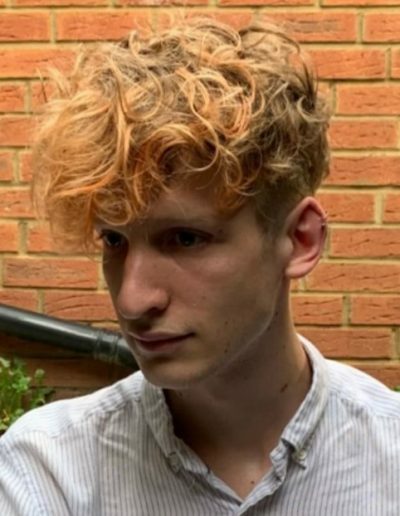 TOM AND ELLIE created incredible colours for the EVO show TOUR OF BEAUTY. 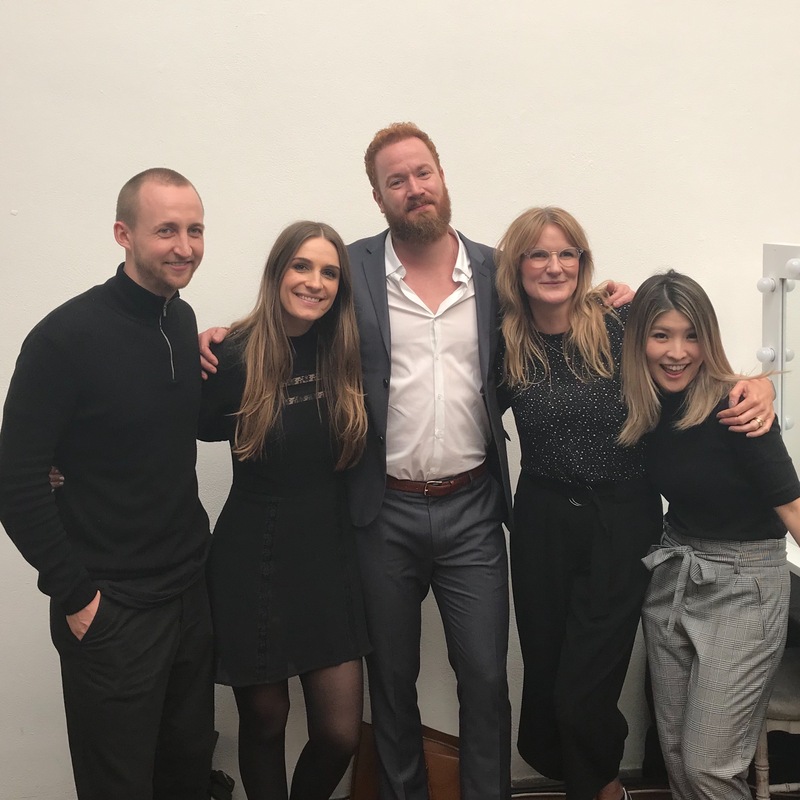 The rest of the BC team all went to be inspired at one of the shows. 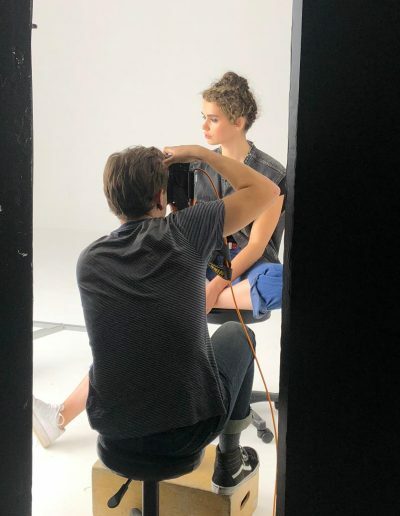 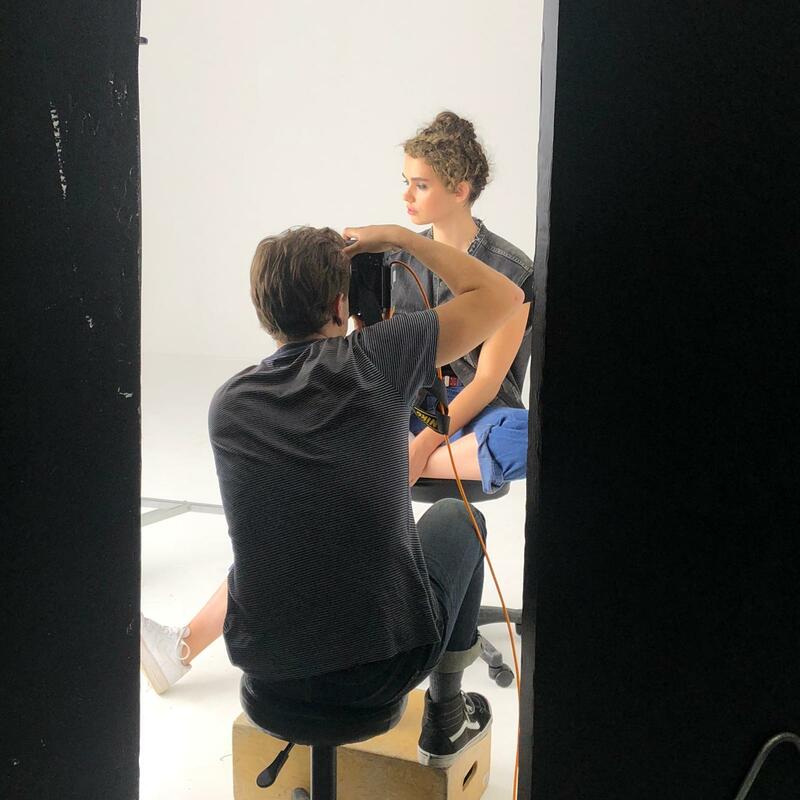 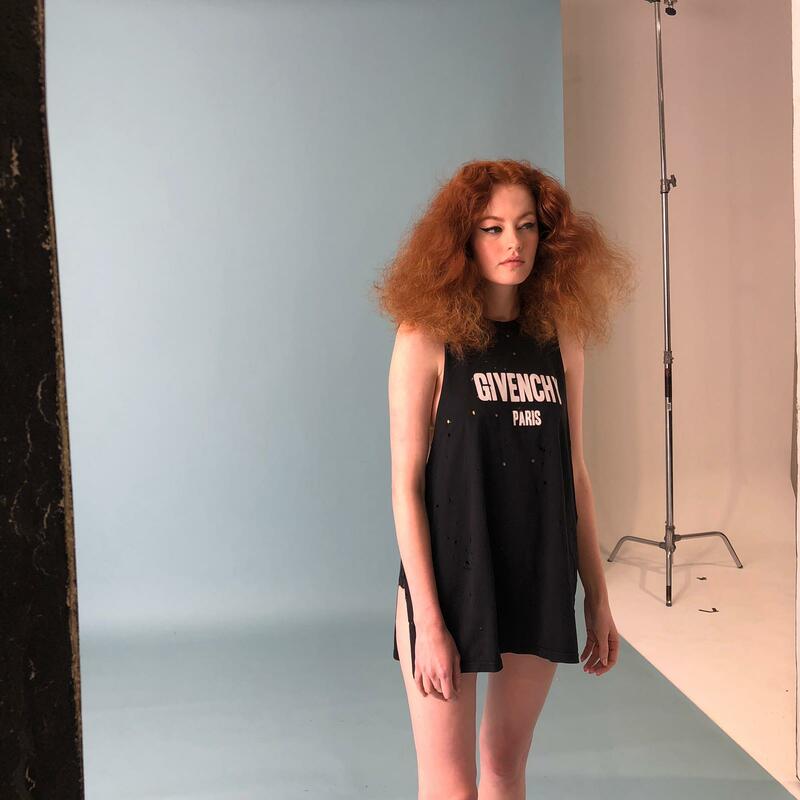 ELLIE worked with EVO on a step by step day on creating looks for a photo session. 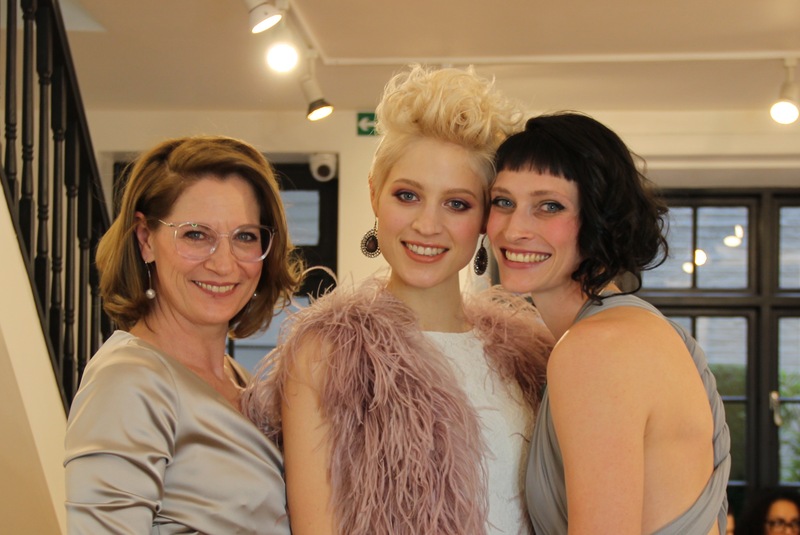 This was a wonderful day with great looks created. 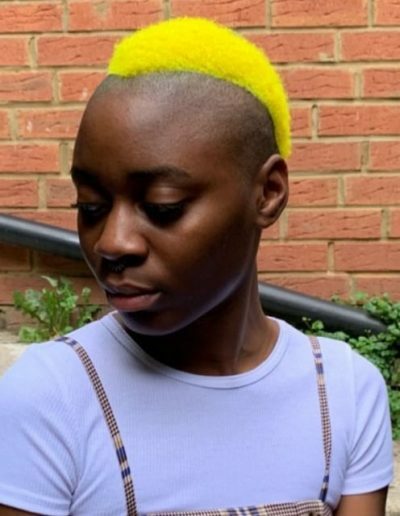 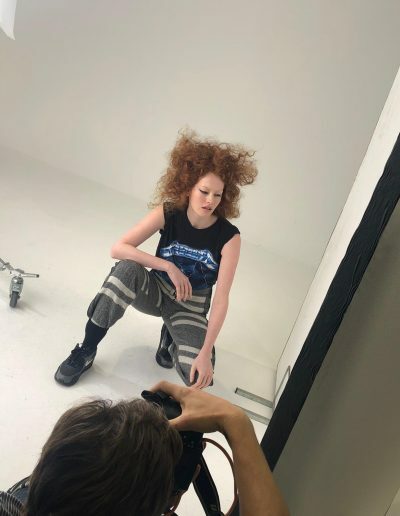 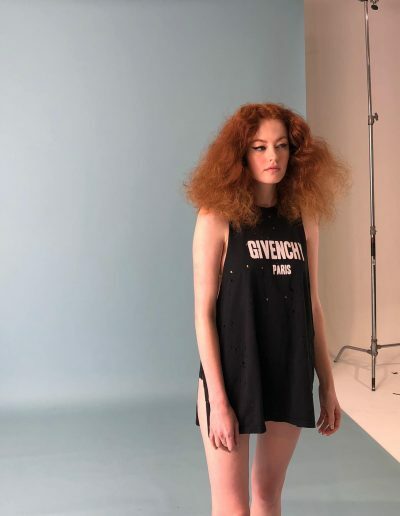 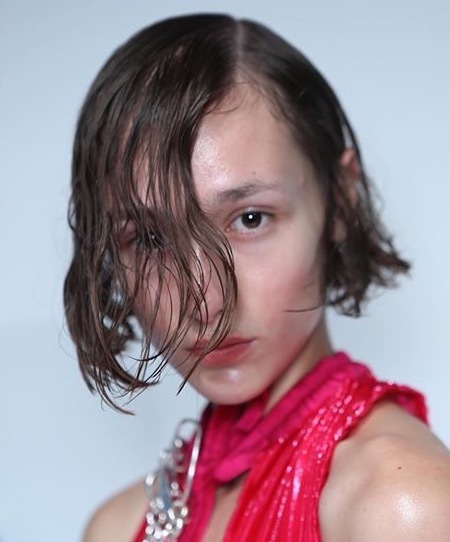 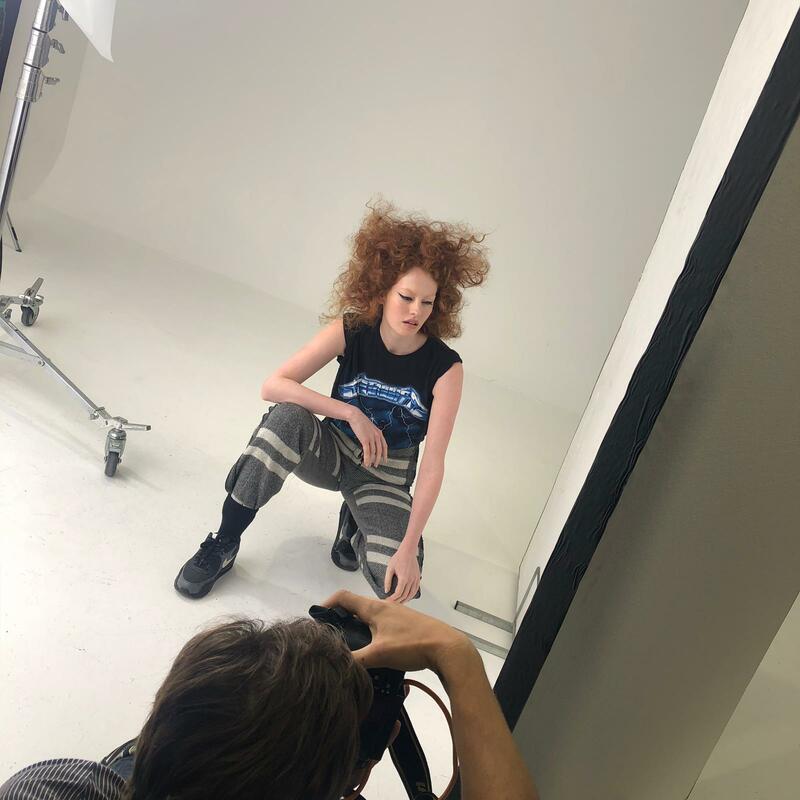 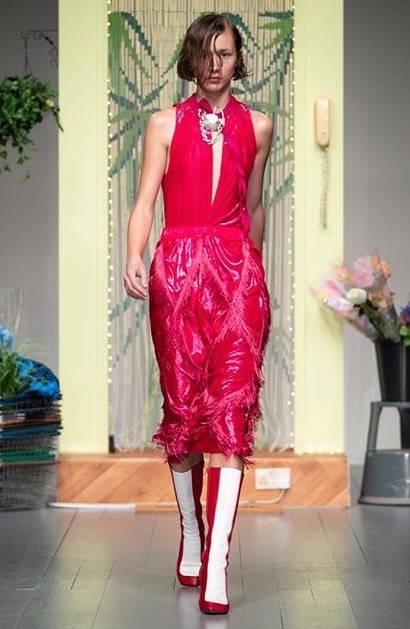 We collaborated with the designer Emma Greenhill who has long been a much-loved personality in the fashion world, having worked for the past twenty years for designers such as Karl Lagerfeld, John Galliano, Hussein Chalayan, Luella and Julien MacDonald. 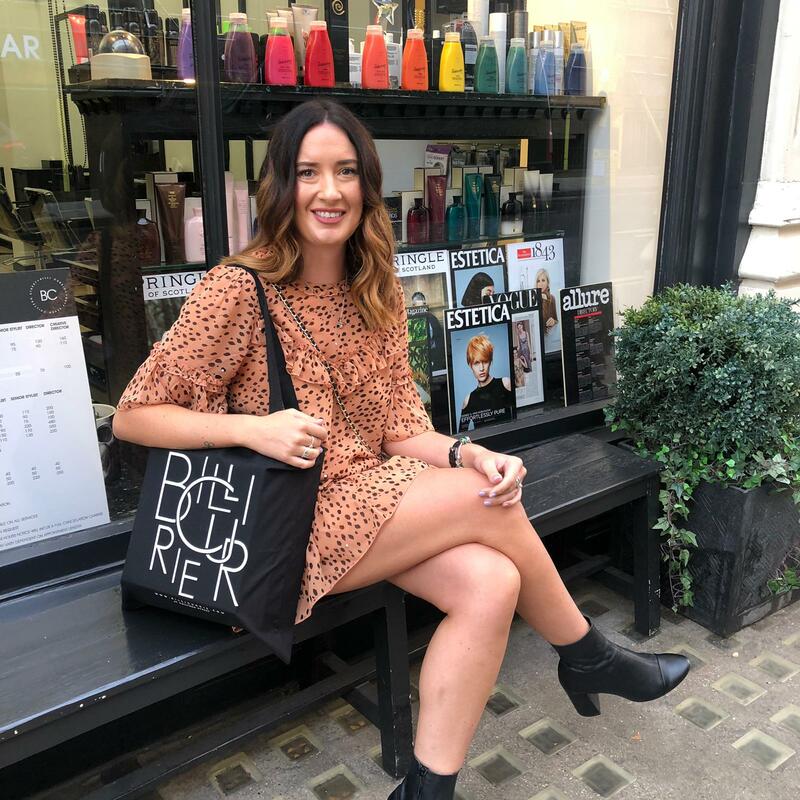 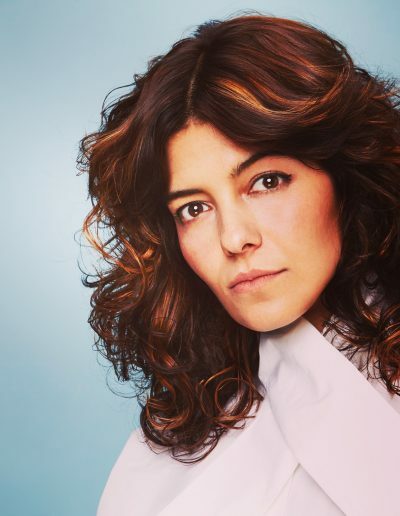 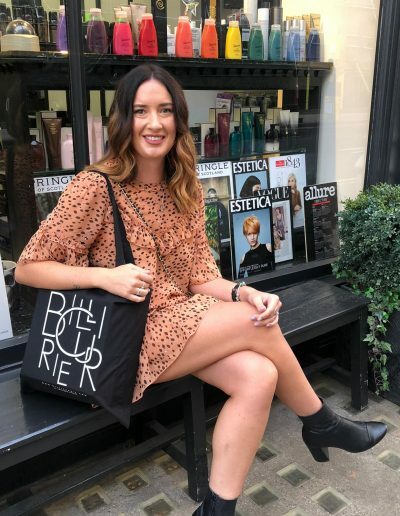 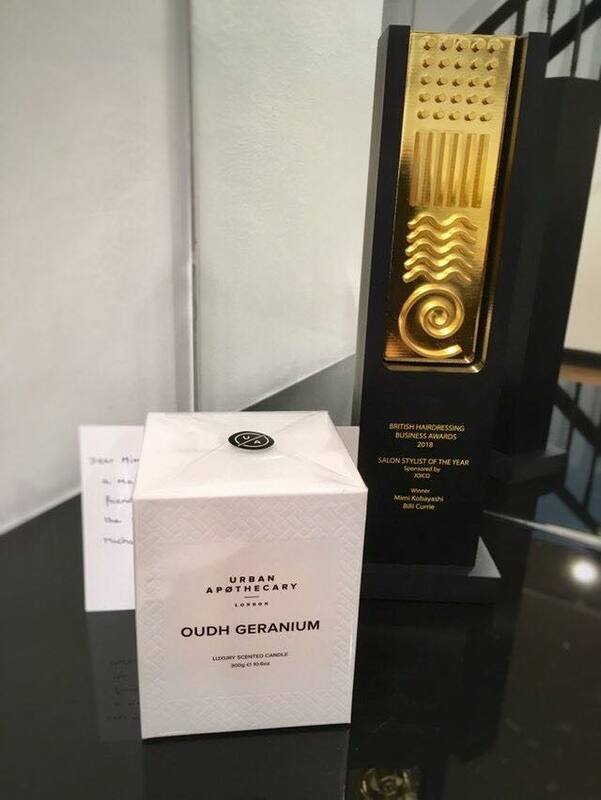 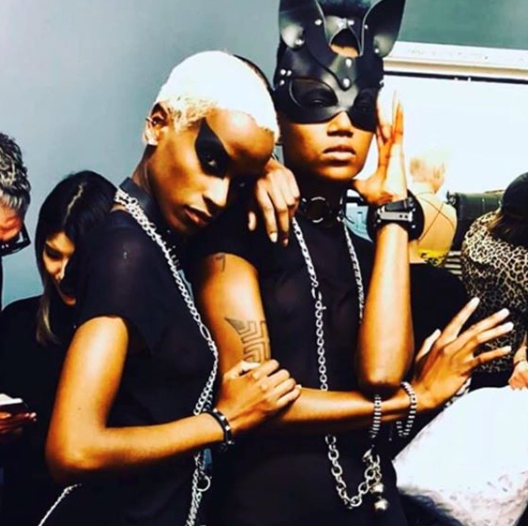 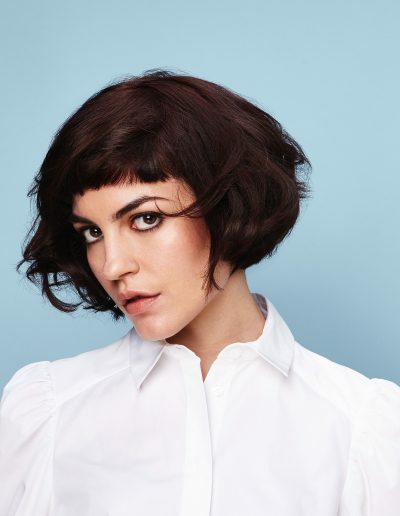 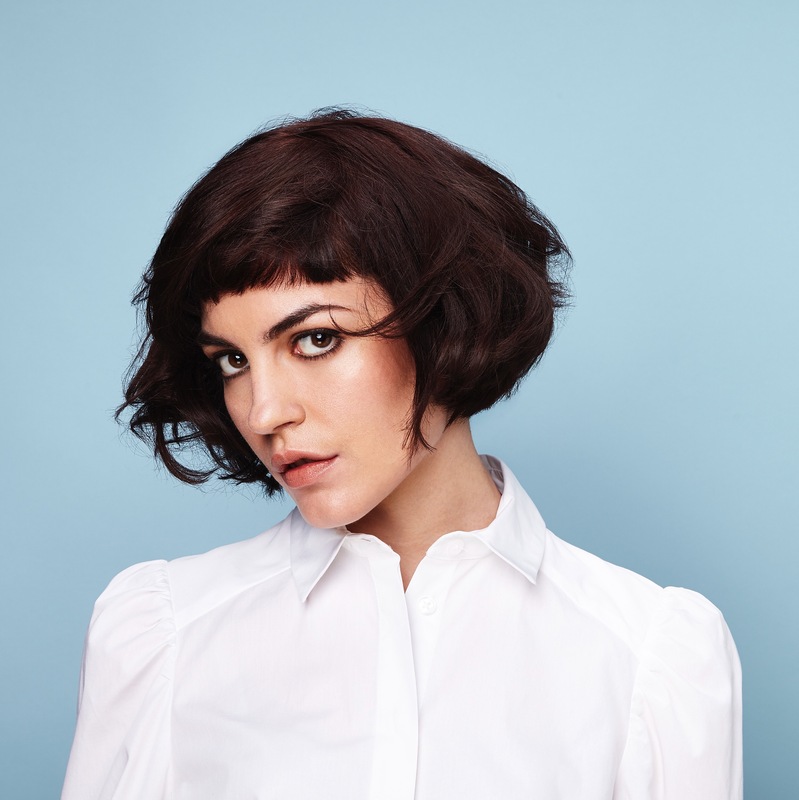 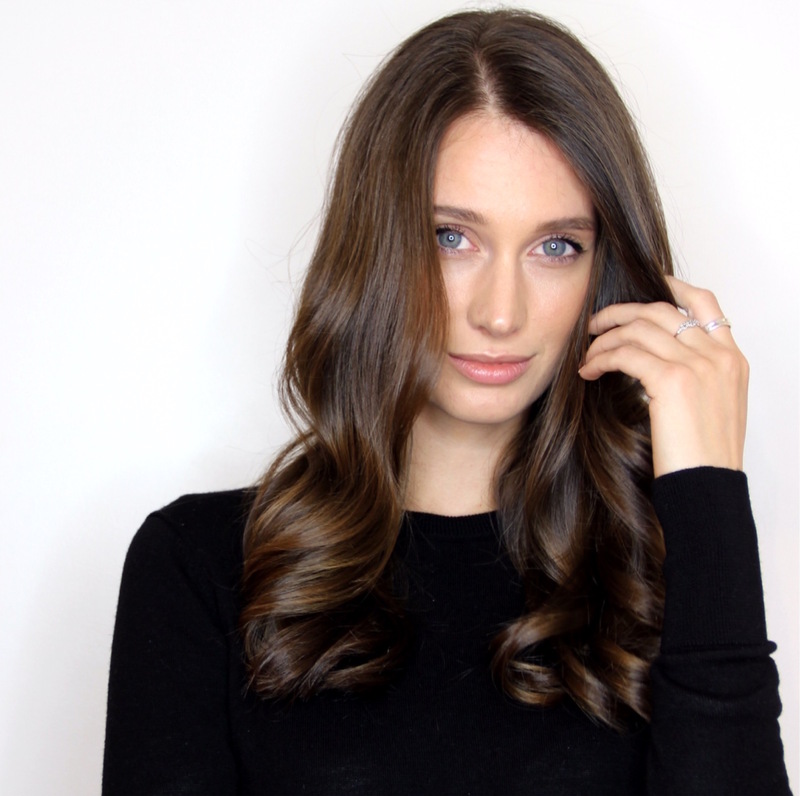 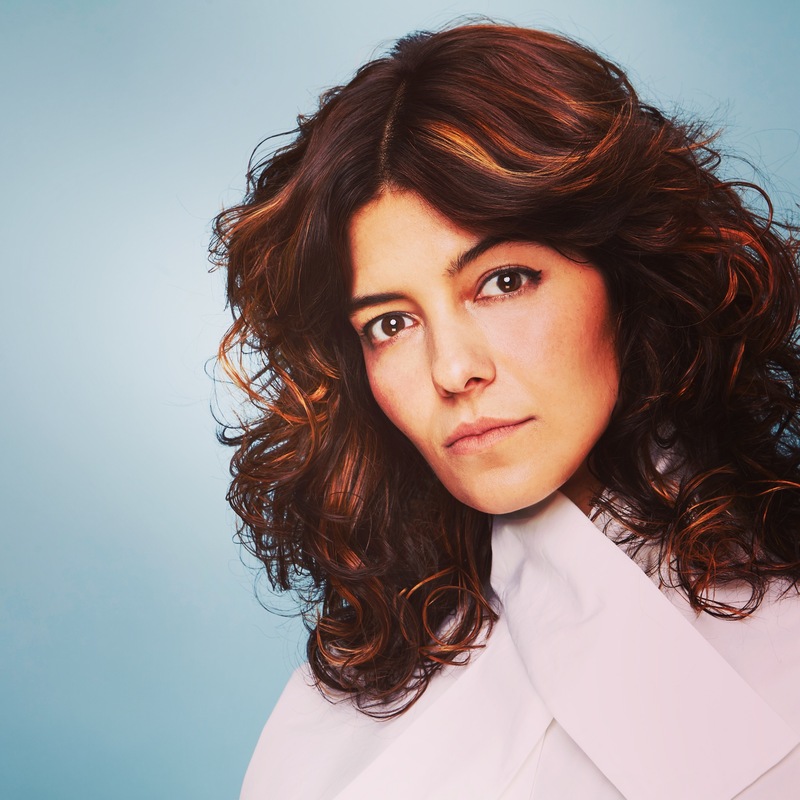 As a In-House PR she was known for her bold thinking and creative solutions, so it seems only fitting that this talent should now be translated into her own eponymous label which she launched in 2014. 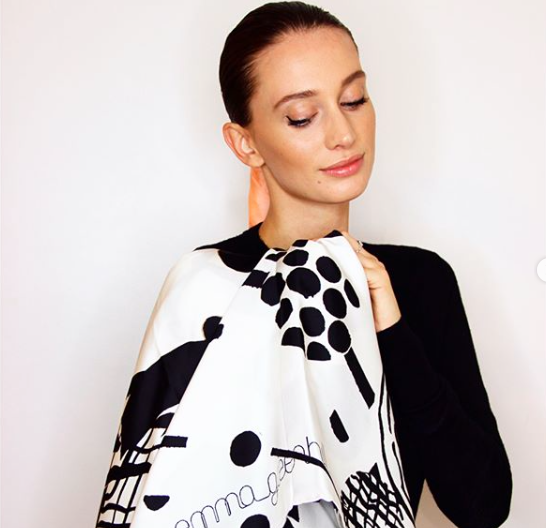 Emma’s scarf designs emanate from “characters and made-up stories that dance in her head”. 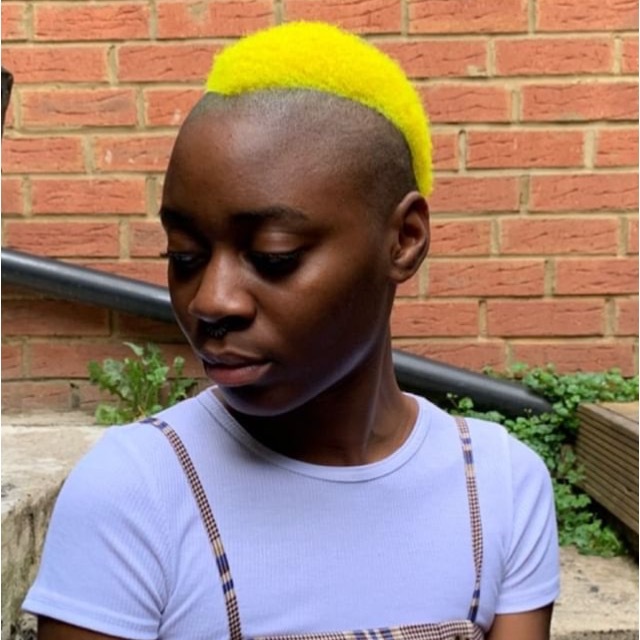 She then transfers those stories to paper utilsing mixed media, collage and motif. 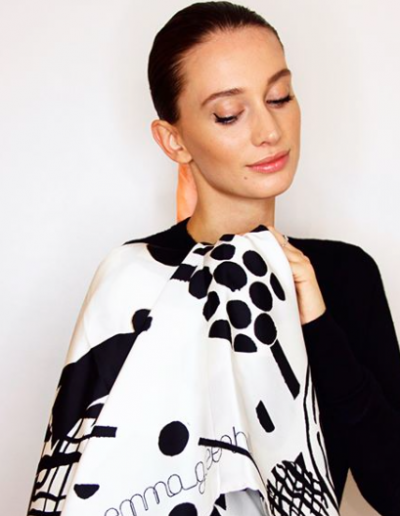 These are then printed onto a variety of luxurious fabrics. 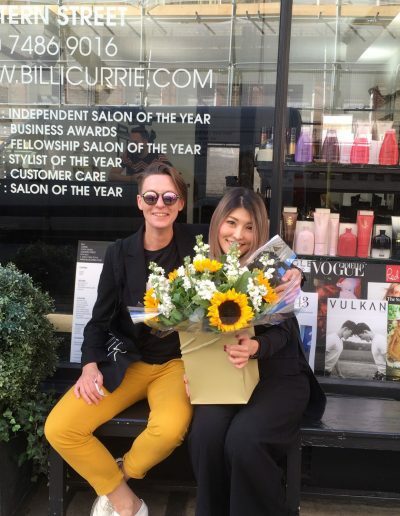 Our stylists at Billi Currie created hair looks using Emma’s designer scarf, we then asked our audience to engage with us on social media out of those who took part our lucky winner was Banbha who won luxtury hamper of hair goodies and of course a designer scarf from Emma Greenhill collection. 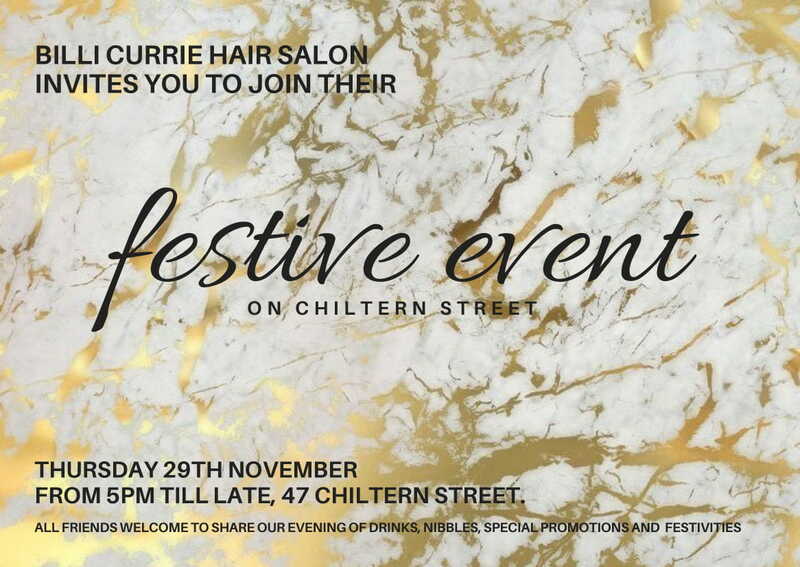 We are super excited for our annual Xmas shopping event on 29th November, Chiltern Street is full of festive fun, lots of surprises this is a great start to kick of the Xmas season. 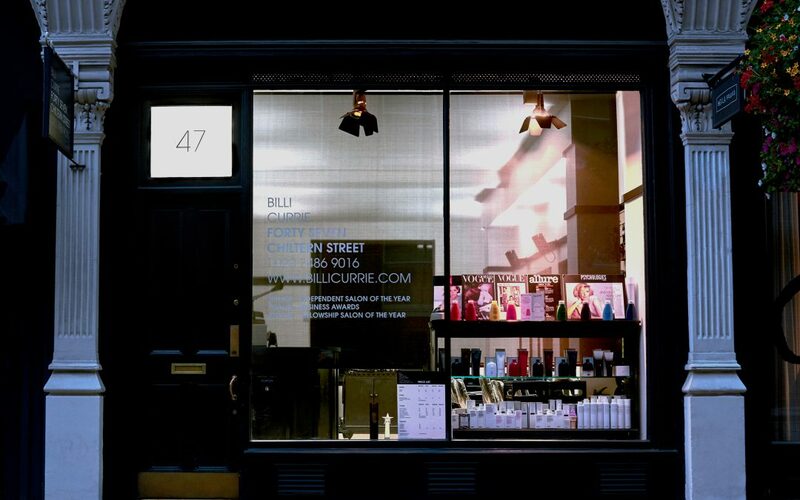 All welcome from 5pm till late. Reading your shared experienced was really exciting. 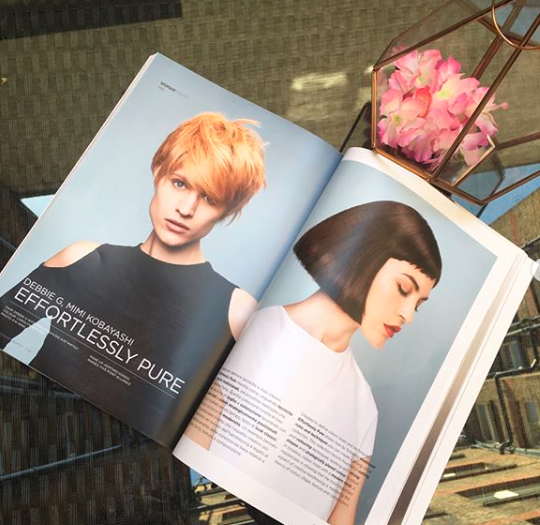 It was a great article and loved to spent time on reading it.